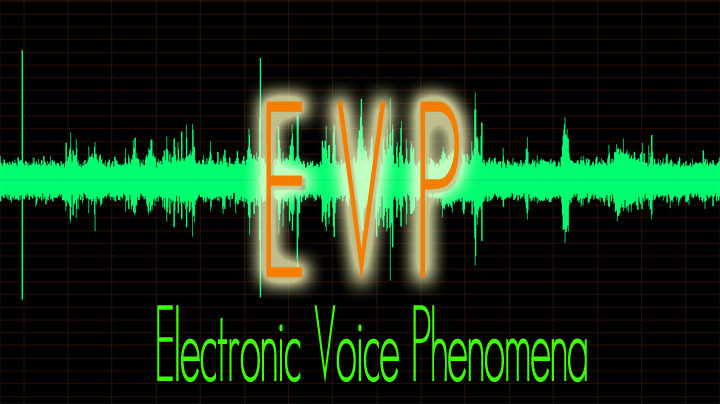 The following EVPs, or Electronic Voice Phenomena, were each recorded during investigations by our team at different allegedly haunted locations. 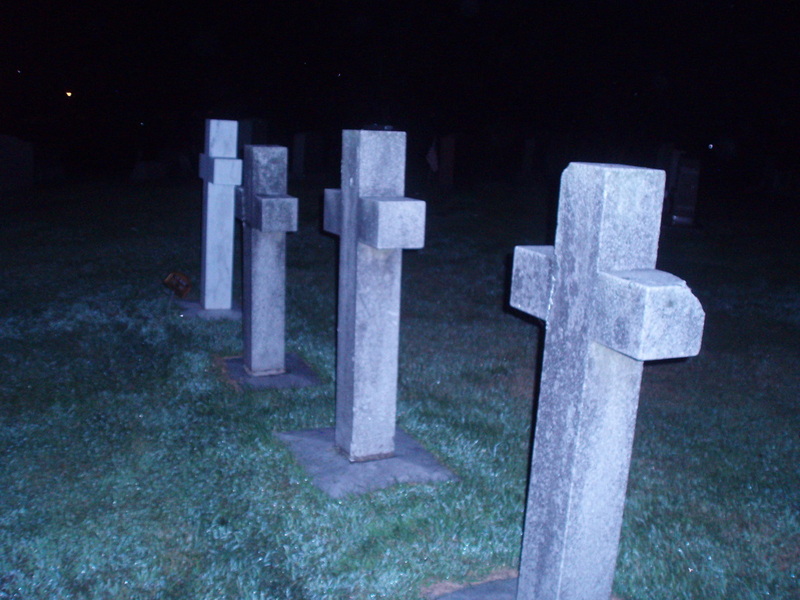 The voices are the voices of the dead speaking to us through electronic means. 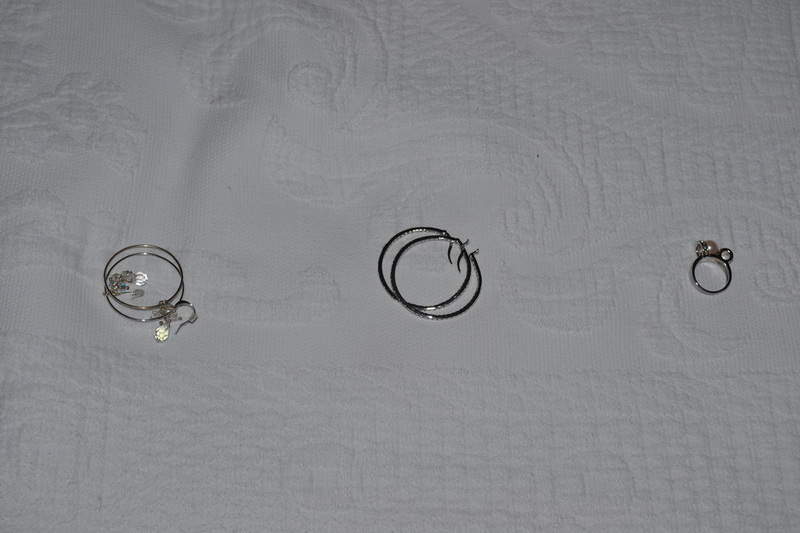 They are not tricks or fakes created by us, but are 100% genuine. 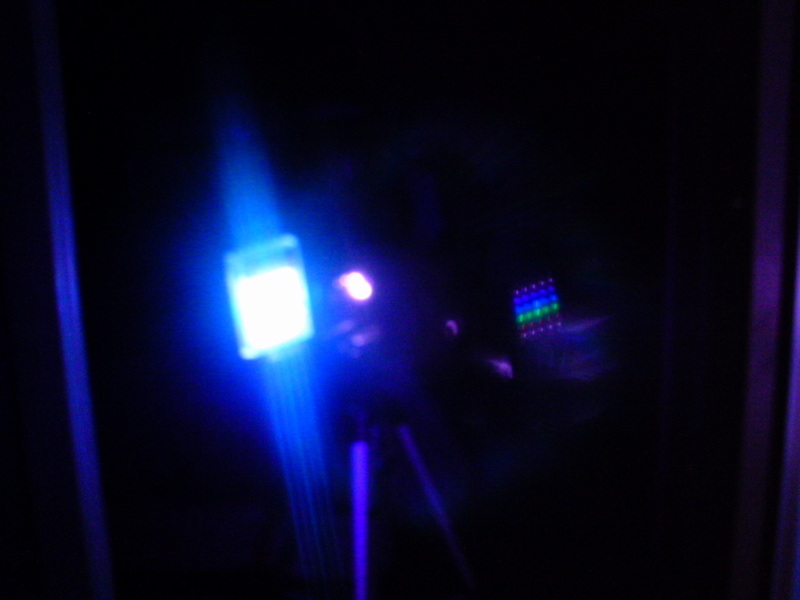 For those of you who do not believe in ghosts, then can you explain how the spirits of the dead are able to speak to us using scientific electronic equipment? Believe what you will, but I know what I am hearing. I do not live my life in denial and neither does my team. Listen for yourself and you will hear them, too. Technical Note: I have noticed that some of these files cannot be heard clearly when using a laptop computer or cellphone to access the website. It is highly advised you listen to these files on a desktop computer for the correct audio clarity. 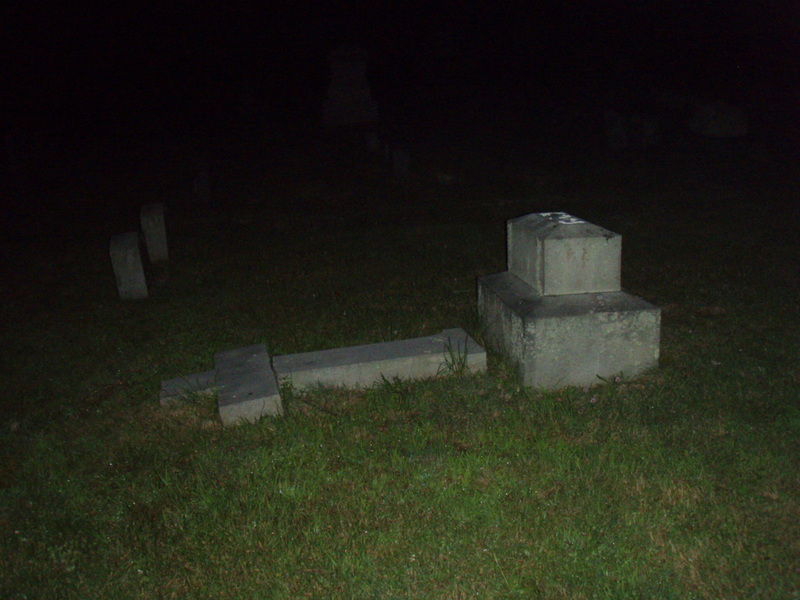 This was our very first EVP recorded at St. Joseph's Cemetery in Yonkers during our second investigation there in 2006. A moan is heard at 16 seconds, while my cousins are talking. The photo to the left is the photo that was taken at exactly the same moment. Someone saying, "Hello!" to us. 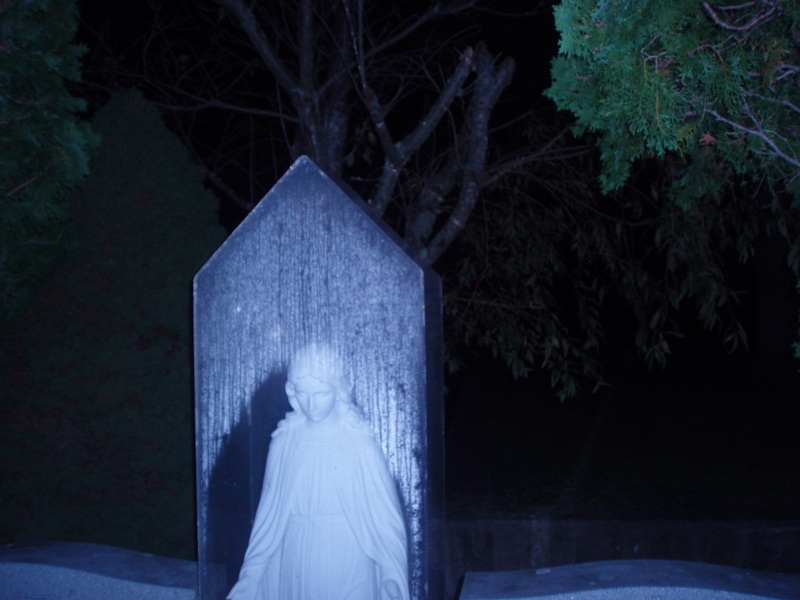 Throughout this recording you can hear what sounds like screaming on at least 3 separate occasions coming from a hill at St. Joseph's Cemetery. 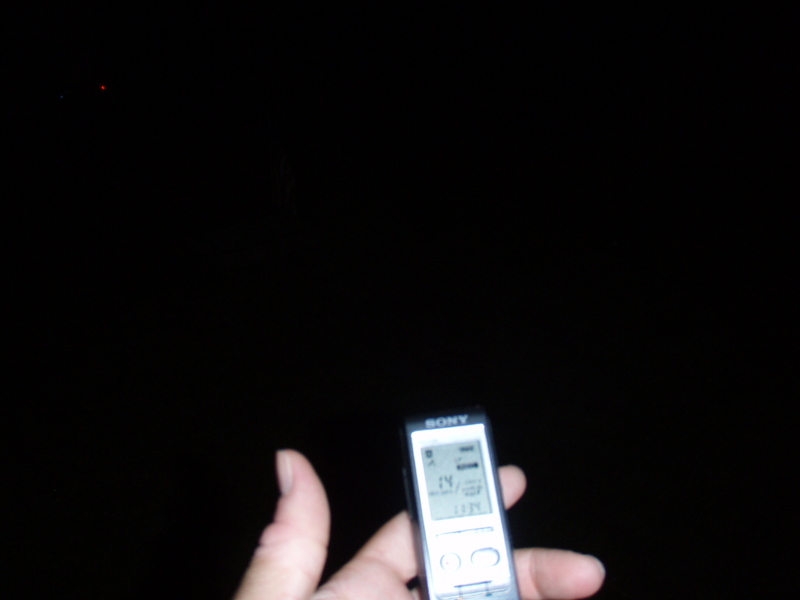 I believe this EVP came from my old neighbor, Henry, who passed away in 2005. 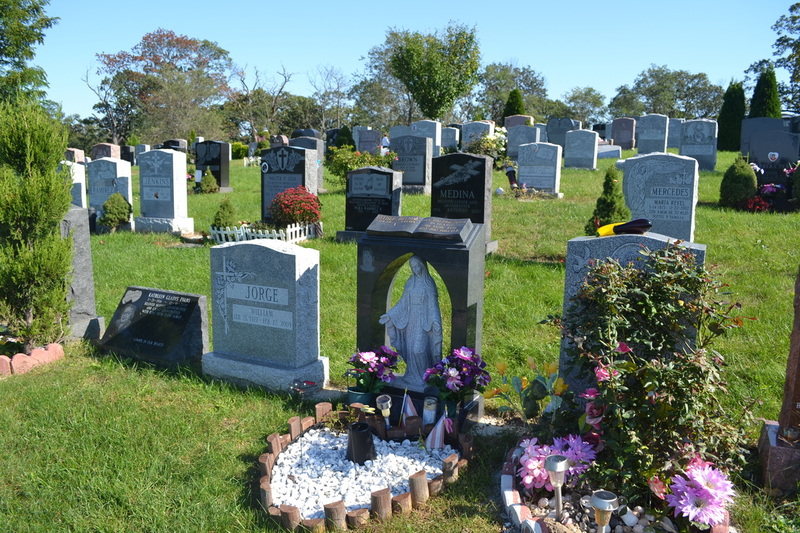 His grave was only a few feet away and the shed in his old yard had been removed by the new owner of the house leaving an empty space. Former team member gets a female voice to respond to her question, "Would you like us to help you in any way?" 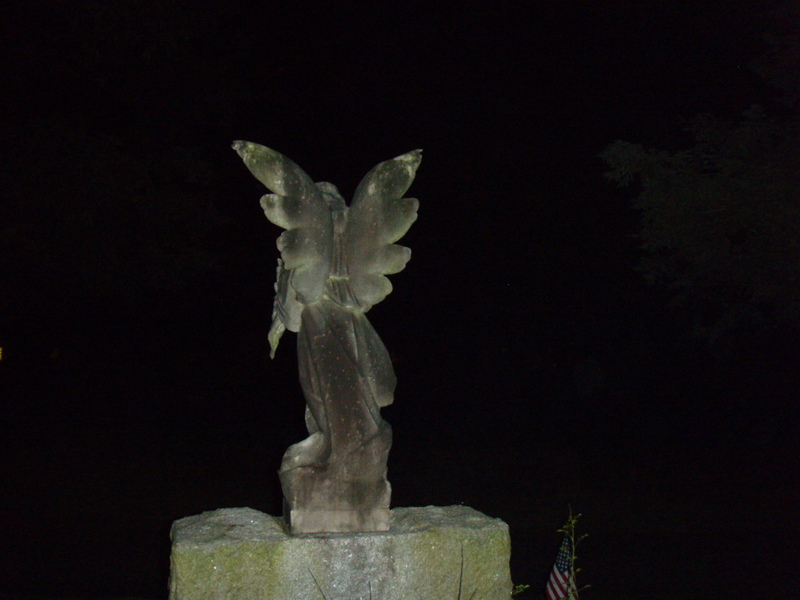 Former team member, Melissa, asks Chris if he heard anything in a wooded area, but it was a spirit who responded by whispering, "No." 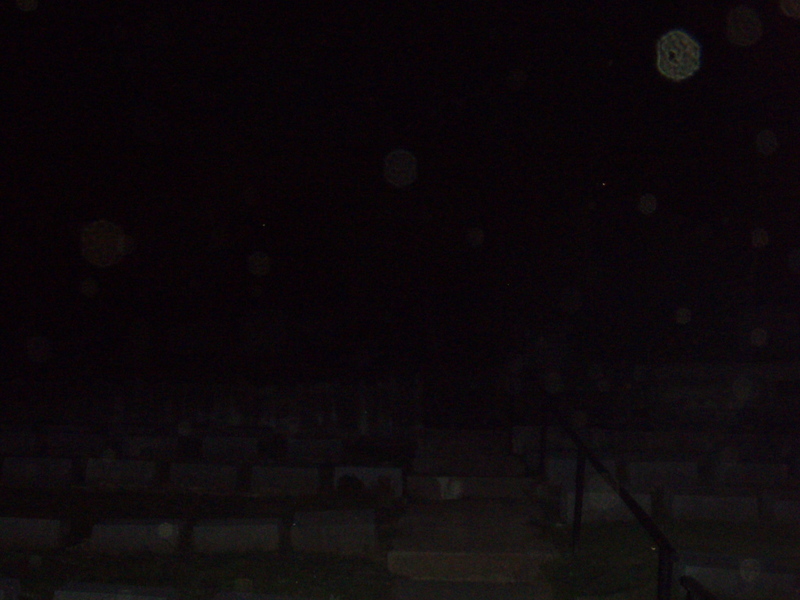 In 2010, while I was saying something at the Oakwood Cemetery located in Mt. 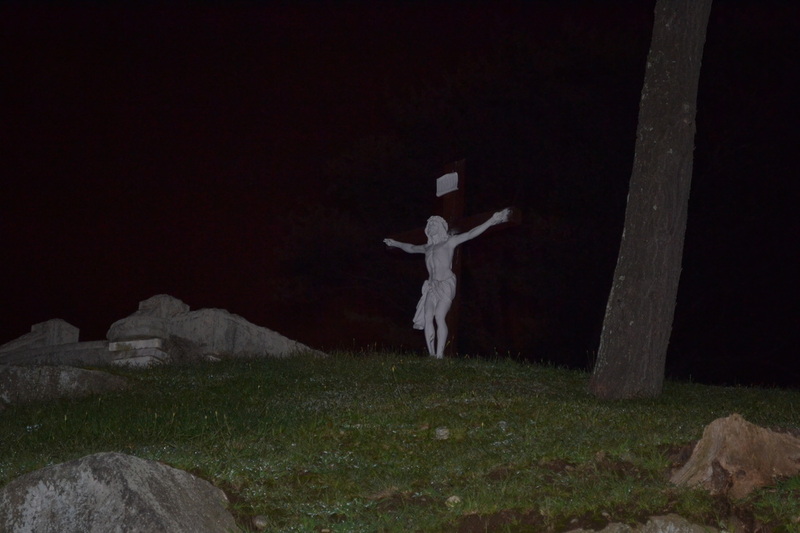 Kisco, NY, you can hear a whisper clearly saying, "Papa." 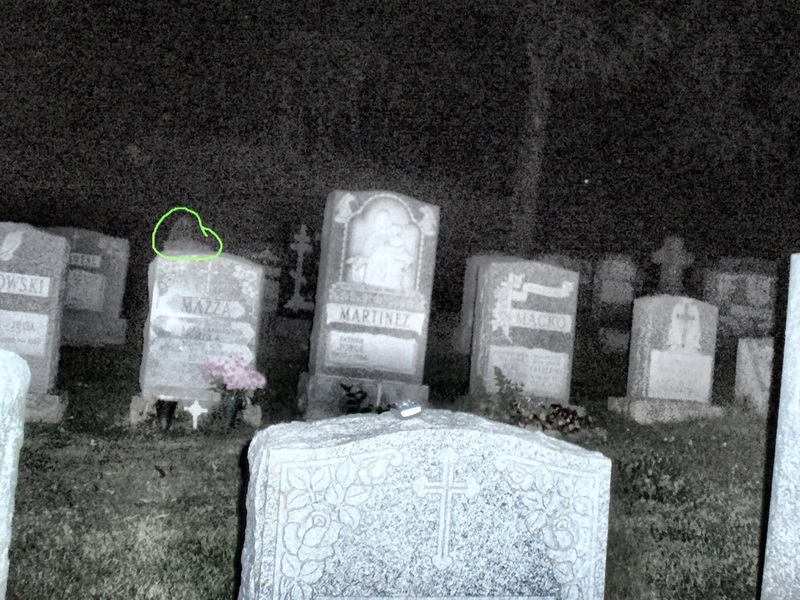 In this recording done at Oakwood Cemetery in 2009 you can barely make out a whisper saying, "We're watching you." 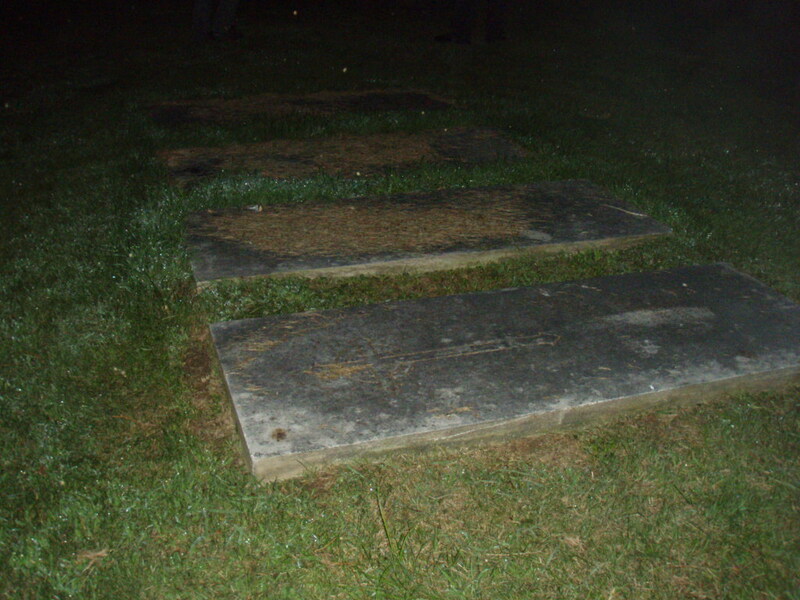 In July of 2009 we were able to get several different EVP recordings at Oakwood Cemetery. 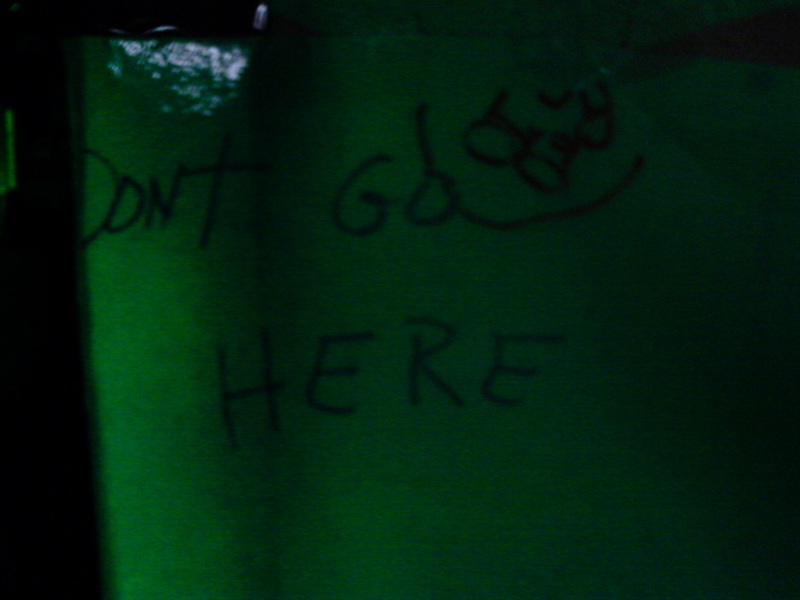 In this one they were telling us to "Get out!" As if to reiterate what the previous spirit said to us, this one put emphasis on his one word, "Now!" 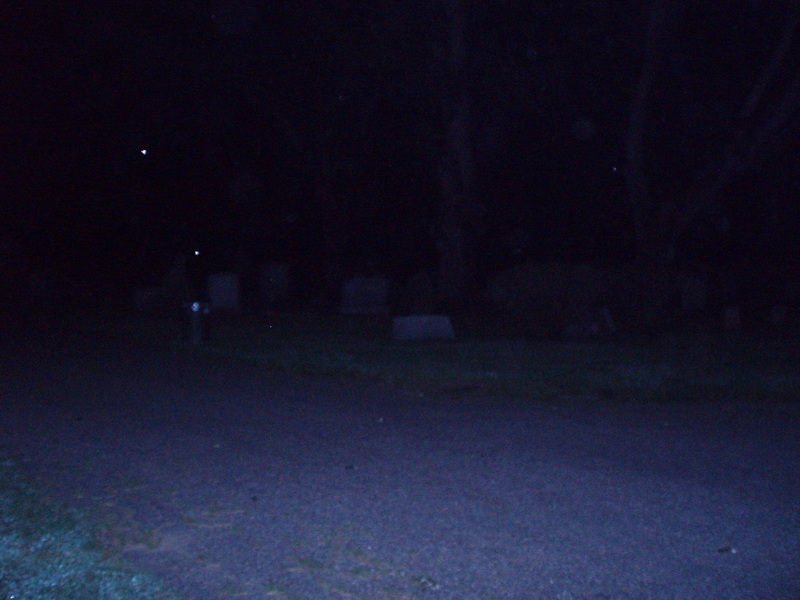 Recorded in July of 2009 at Oakwood Cemetery. 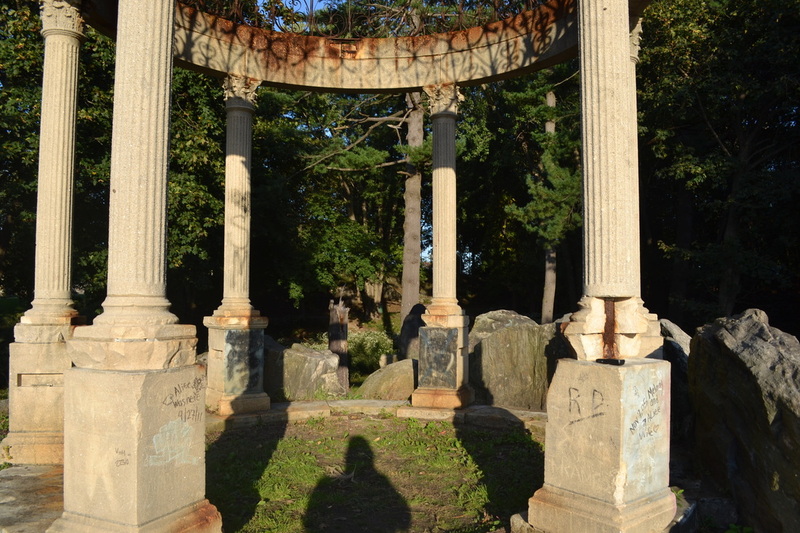 This is another recording done at Oakwood Cemetery in Mt. Kisco, NY, from July of 2009. 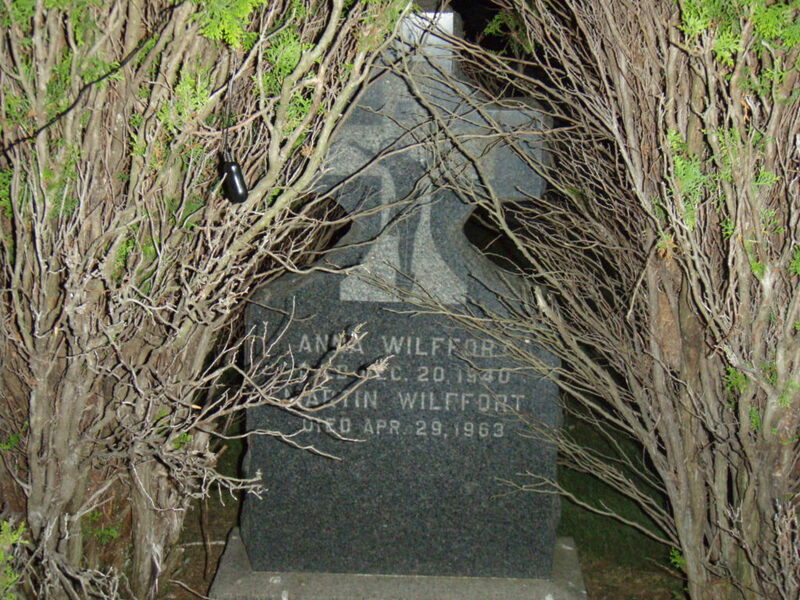 In another 2009 recording done at Oakwood Cemetery you can hear someone whisper, "Nothing." It actually almost sounds like my voice, which is kind of creepy. 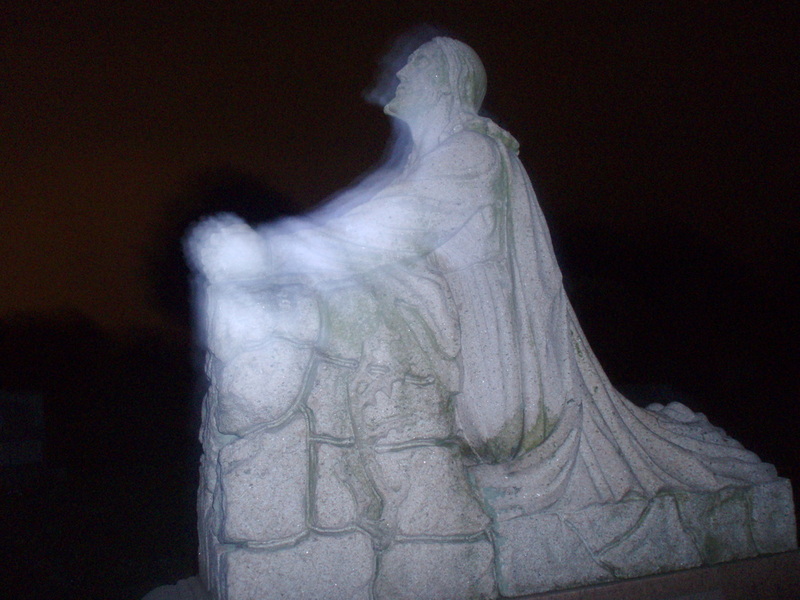 The final EVP from July of 2009 at Oakwood Cemetery has a spirit telling us to "Go." A female voice can be heard, but it is uncertain of what she is trying to say. 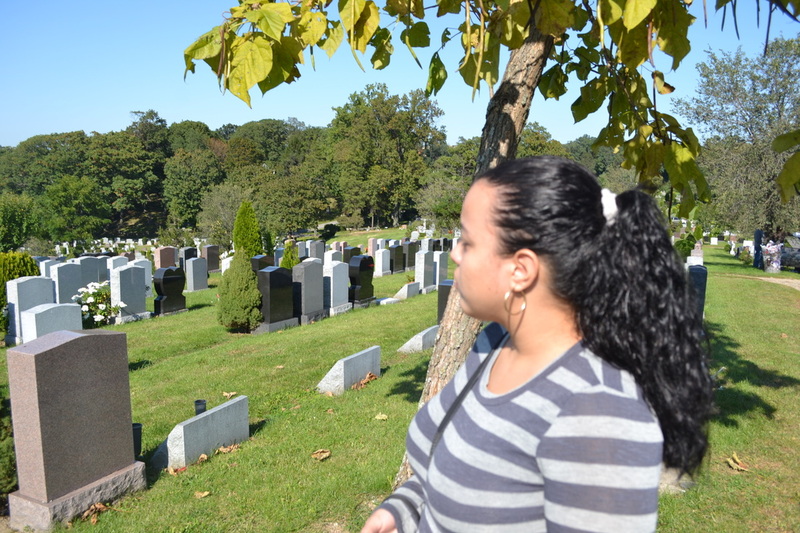 When Amanda asks if there is anyone at the cemetery, who'd like to say something, a male voice eventually responds to her in what almost sounds like a snicker. There is an unknown whisper after I speak at 8 seconds into the clip and towards the end at around 28 seconds more whispering can barely be heard. Someone can be heard blowing into Jo-Ann's recorder after 48 seconds of recording. 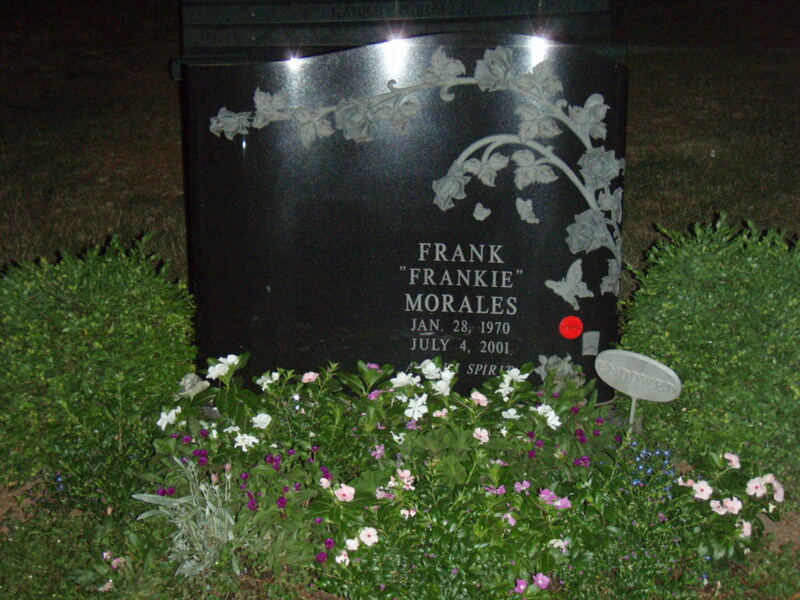 In July of 2008 I did a recording near the grave of someone named Frankie Morales, who was unknown to me. Towards the end of the recording, as I was leaving I told him to take care and he responded by saying, "Bye," in an eerie kind of whisper. Right after I state the time you can hear the voice of a male saying something to me in this recording done aboard the USS Torsk docked at Baltimore's Inner Harbor in Maryland. 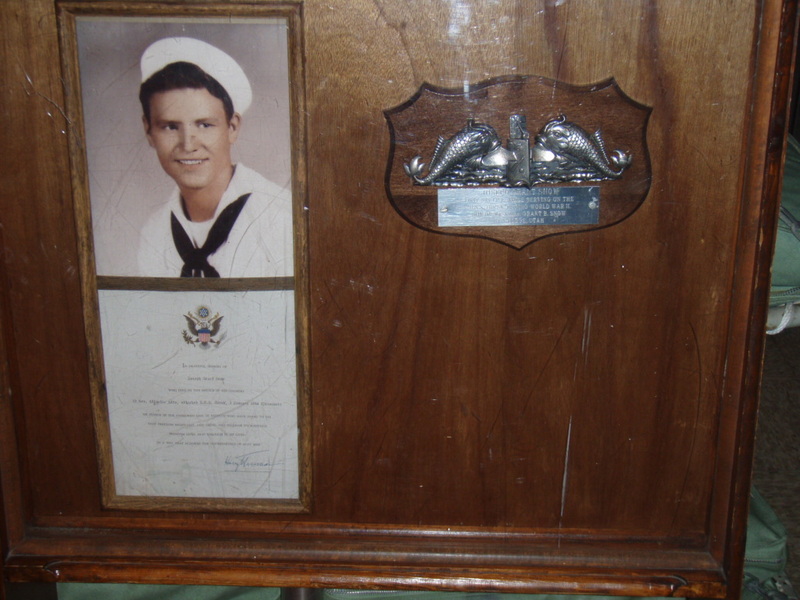 Could it have been the voice of Joseph Grant Snow, who died aboard the submarine during WWII? 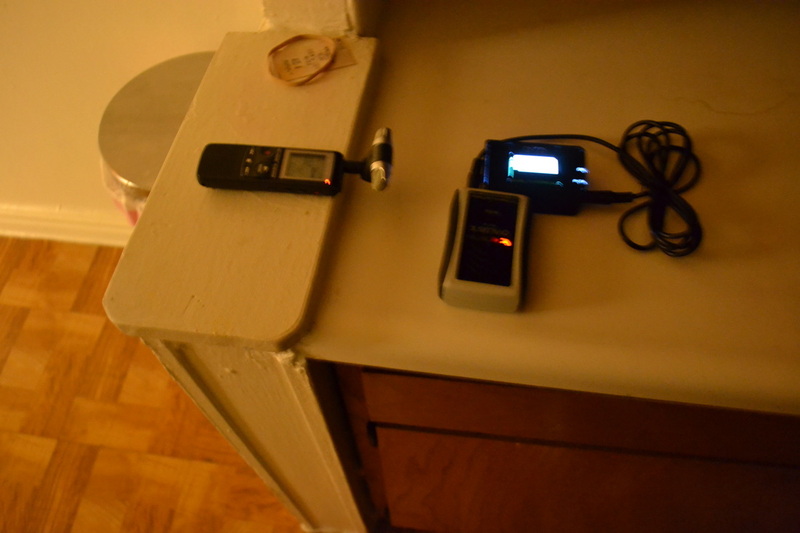 While conducting an investigation at my cousin's house in the Bronx, Jo-Ann captured an EVP response to her leaving when a voice asked her not to go. It comes in at about 7 seconds. While inside of the old medical building aka James F. Reville Building, or simply Building P, I recorded this strange sounds after about 2:07 in a second floor office. Right after the static you will hear a very faint female crying sound coming from an empty 2nd floor hallway before I ask, "Who started the fire?" After I said, "Rest in peace," there was a male response. 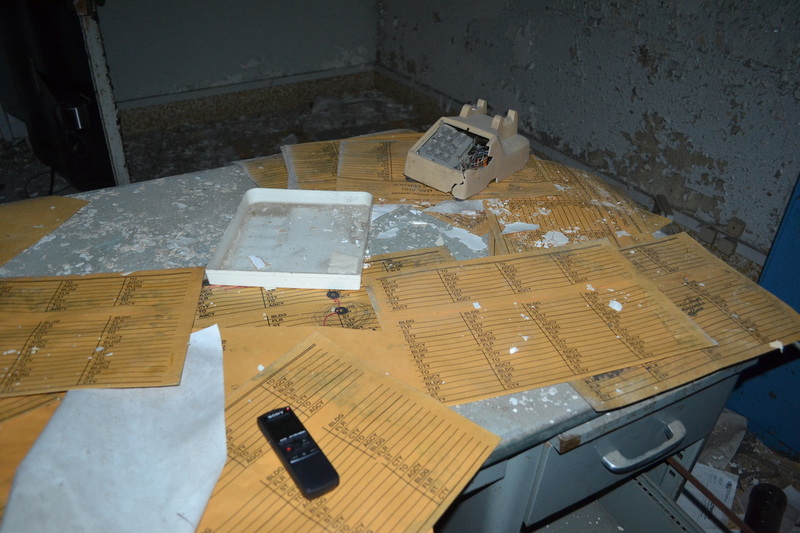 I was the only male there at the time in a room on the 8th floor of Building 7. A deep male voice greets me in the recreation center's auditorium by saying, "Hello," just before I snap a photo. 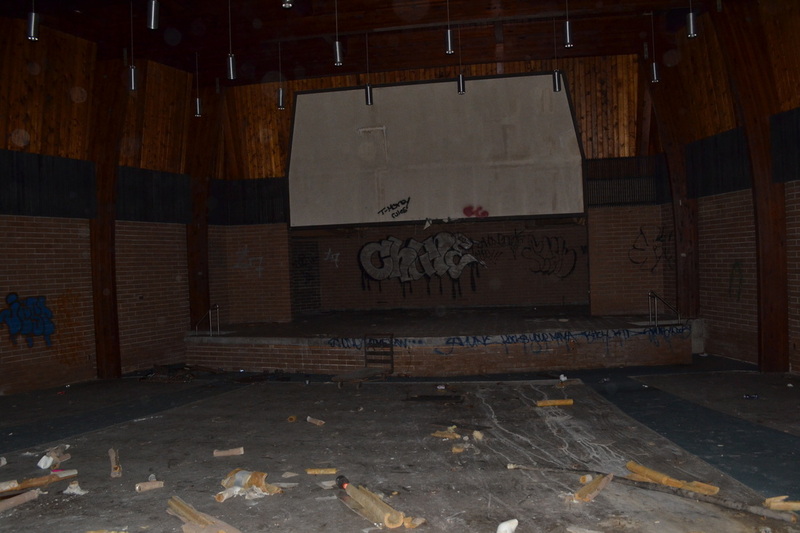 While in the auditorium of the old recreation center, Jo-Ann heard a wind pipe type of musical tone. 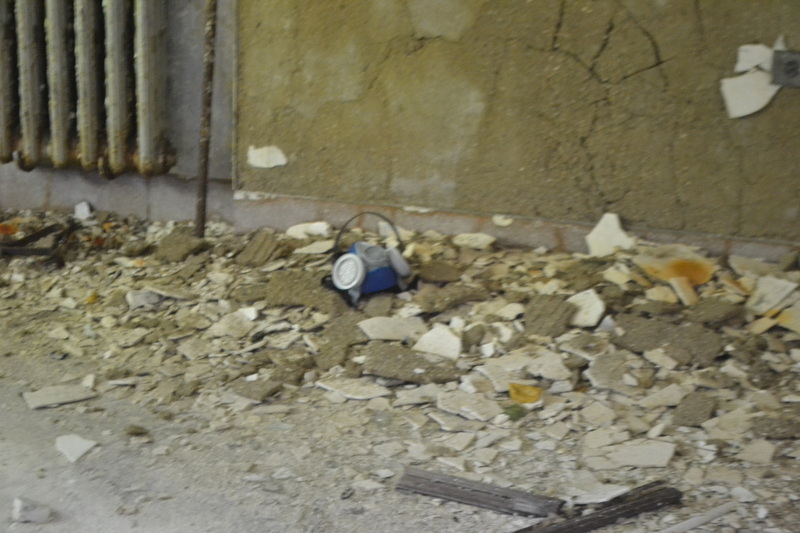 On the second floor of Building 37, Jo-Ann finds someone's respirator mask on the floor. Just then a voice can be heard almost in the distance shouting, "Hey!" 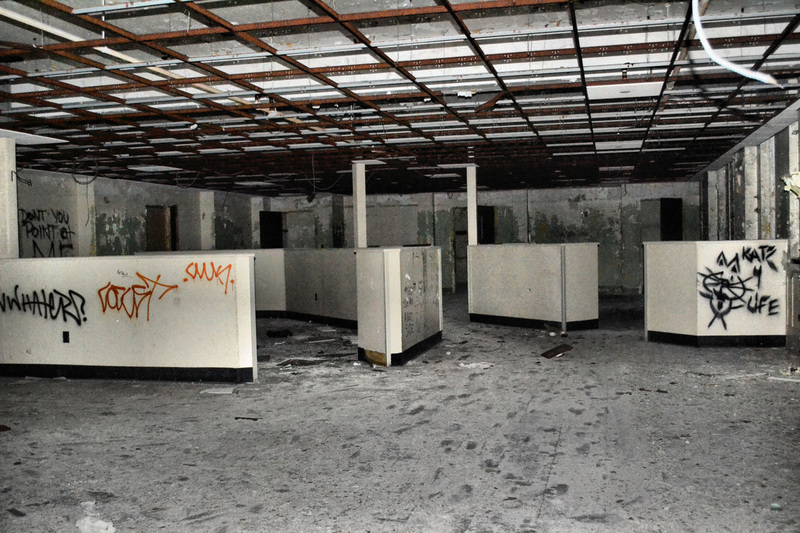 While inside of this building for what was probably our last time before it was demolished, we got a very low recording of a female saying, "Help me!" 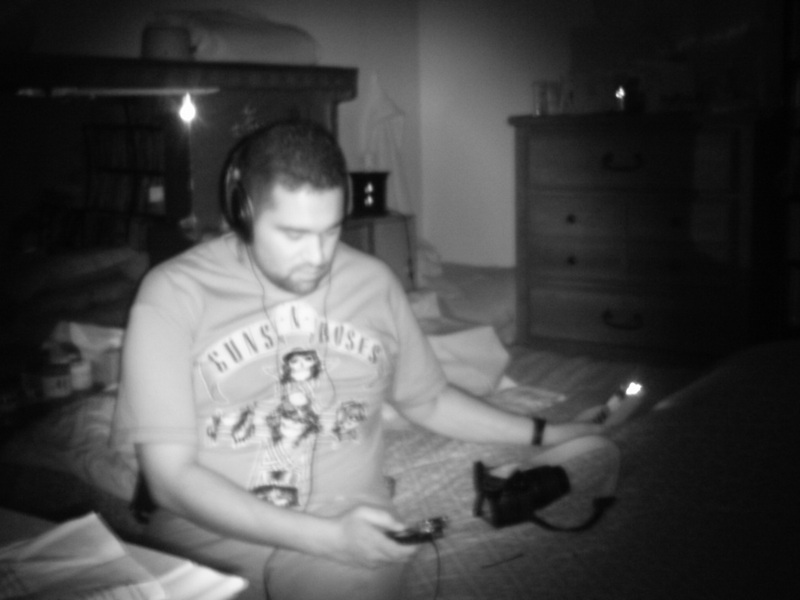 The spirit box was on at the time, so it is very hard to hear. 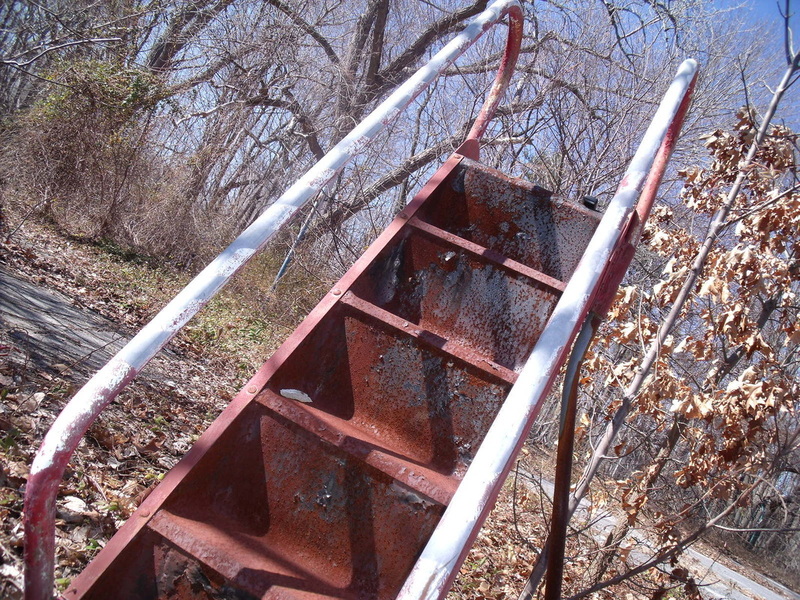 This clip was recorded in the playground of Building 40 at the KPPC in 2011. You can clearly hear a girl's voice screaming or laughing. In this clip recorded at the same playground you can hear a girl screaming and what sounds like kids playing in the background. While Chris and Jason are talking you can also hear children playing in the background towards the beginning and end of this clip. 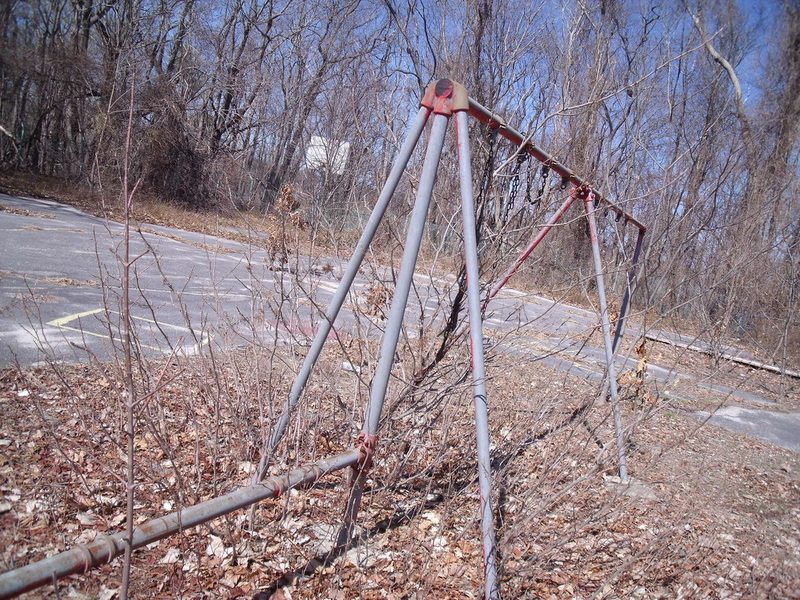 In this final playground EVP a girl can be heard screaming along with other kids voices. 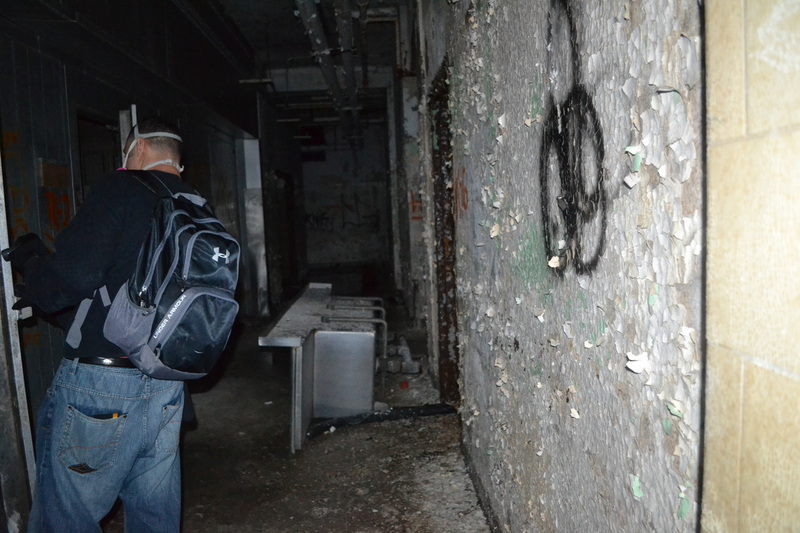 The footstep sounds close to the end are Chris and Reuven inside of Building 40. More female screams are heard at the very end. 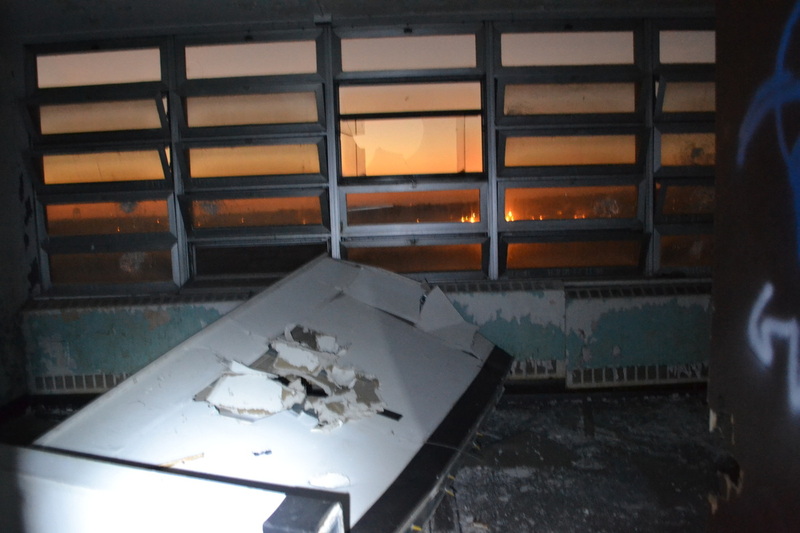 It is unknown what this girl's voice is trying to say inside of Building 93 of the Kings Park Psychiatric Center. 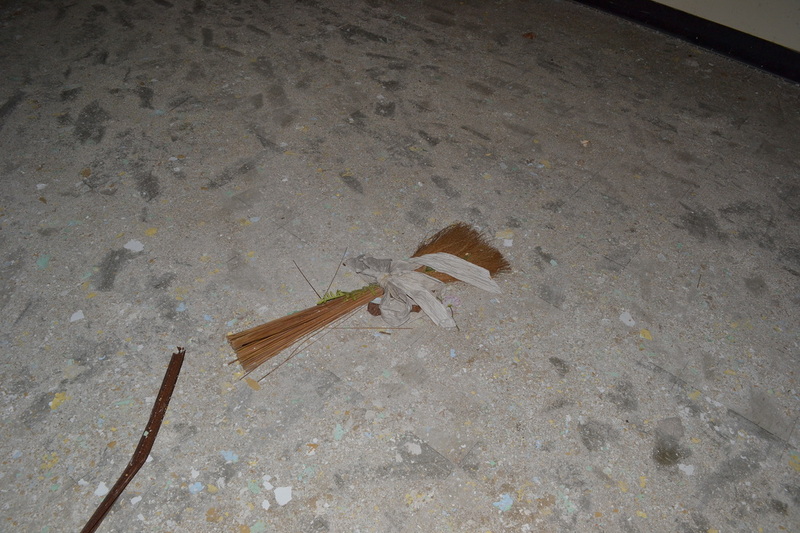 This file was recorded by former team member, Melissa. 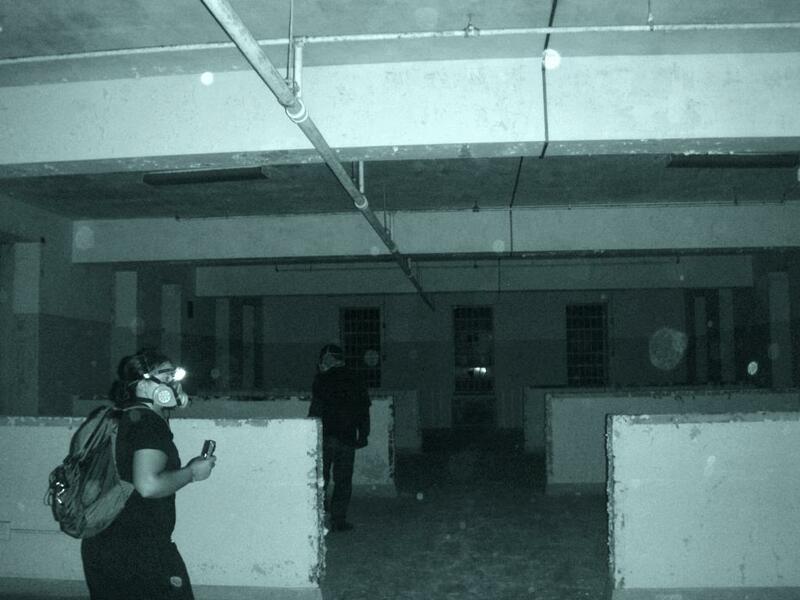 This was recorded inside of Building 93 of the abandoned Kings Park Psychiatric Center on Long Island, NY, in 2007 by former team member, Melissa. A male cough can be heard right before I ask a question, while on this 3rd floor room. 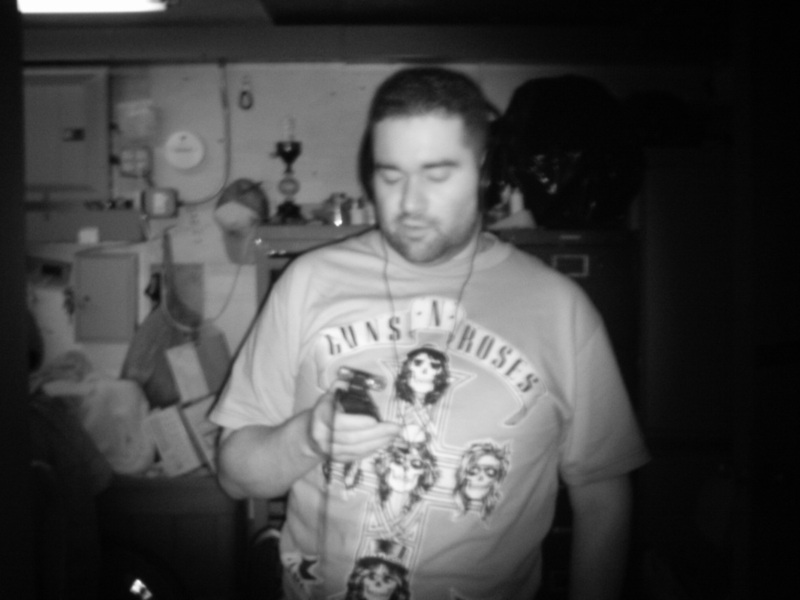 While at the Group 4 Quad buildings at the KPPC in 2011, Chris began recording and instantly a male voice interrupts saying something inaudible. Chris recorded a moaning sound at approximately 1:38 into this clip, while alone in a room of the Quad buildings of Group 4 at the KPPC in 2011. Right after I ask Amanda to speak to me you can hear a female humming at about 24 seconds into this recording done at Tiffany Field in 2011. 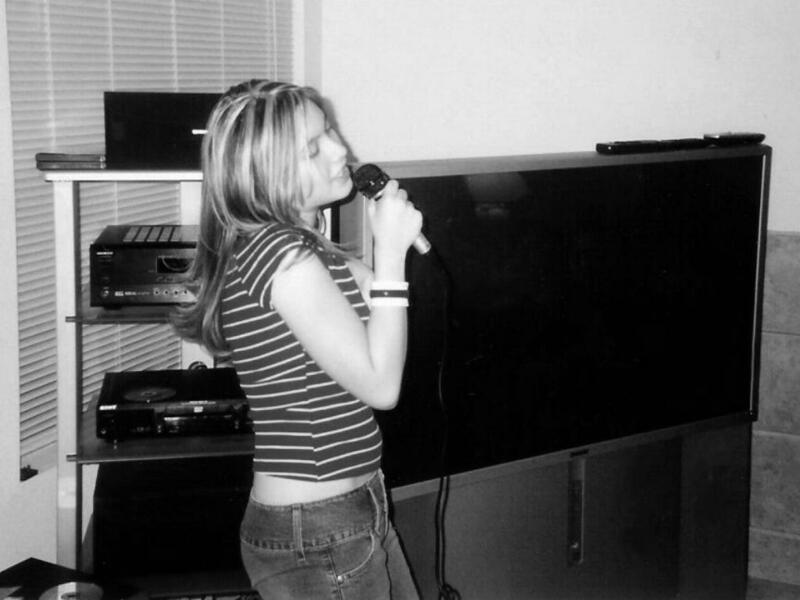 This is my cousin, Tiffany, who lives in Arizona, singing into a karaoke microphone a few years ago, while she was home alone. You can hear someone taking a deep breath at around 8 seconds into the song. She never even notices it, as she sings. When Jo-Ann states she is hearing little noises, a female whisper can be heard saying, "That's me." 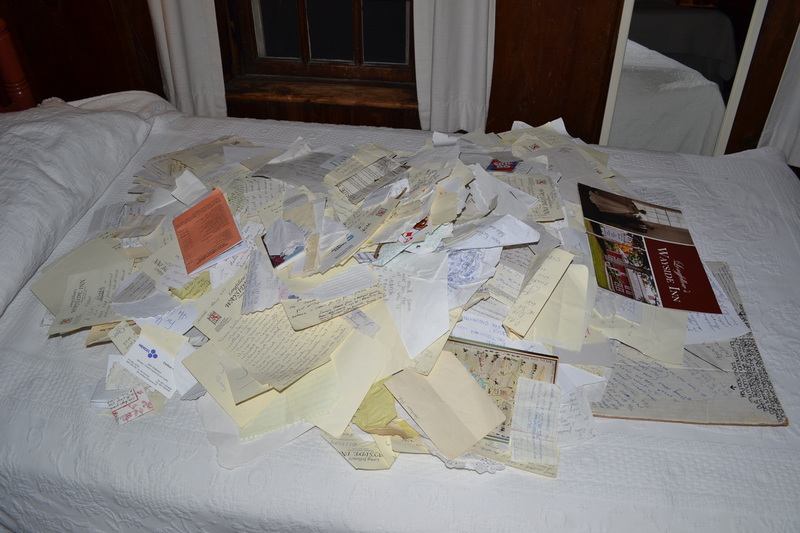 After I mention how I hope everyone finds our letters, a female voice can be heard saying, "Hmm." When I say I am leaving the 3 gifts, once again, a female can be heard saying, "Hmm." 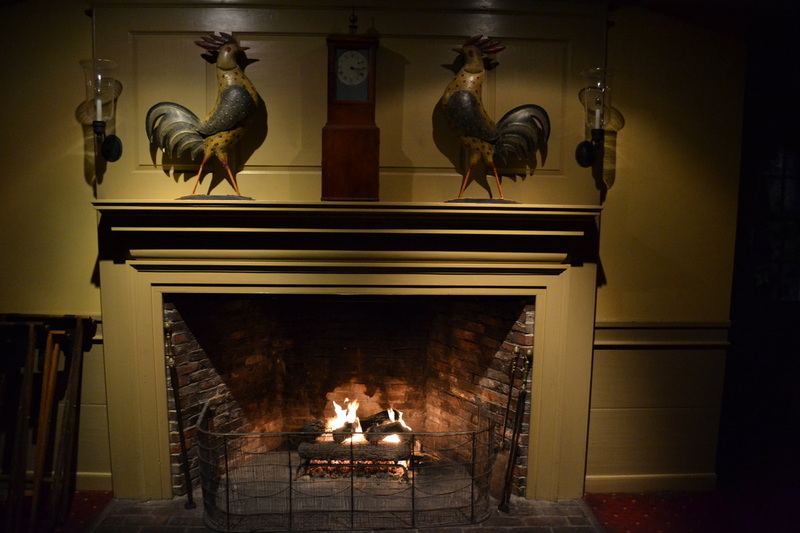 A female whisper can be heard in this clip recorded on the inn's 1st floor. 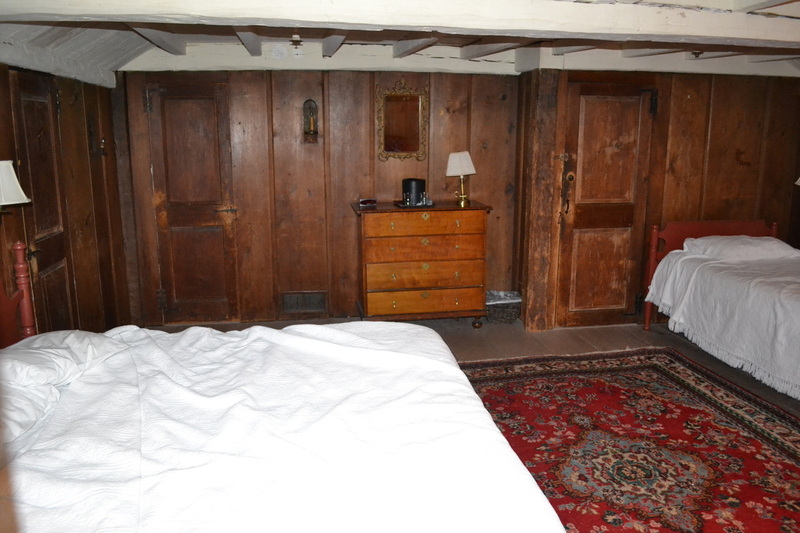 For some unknown reason barking can be heard within the hotel when there were no animals present. "Rosie Running / Who's That?" 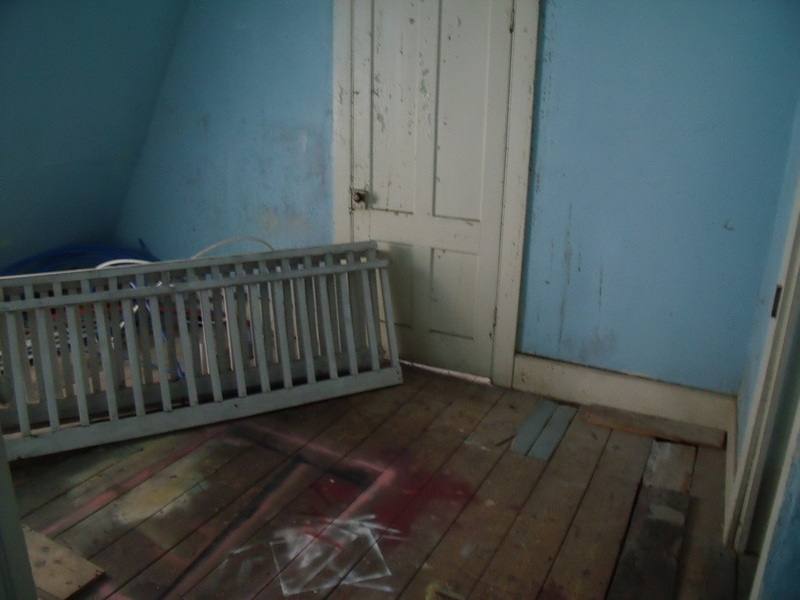 During our first investigation at the Shanley Hotel I recorded the spirit of 3-year-old Roseanna "Rosie" Grieger running down a hall followed by another EVP of someone asking, "Who's that?" 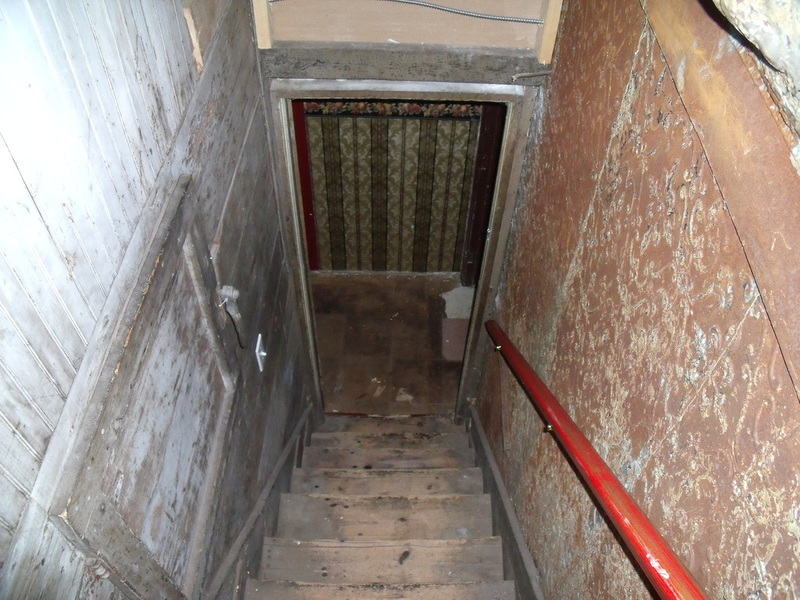 Also recorded at the Shanley Hotel during our first investigation there, this recording very clearly has the spirit of Rosie screaming loudly. Just for the record there were no children present at the time of this recording. 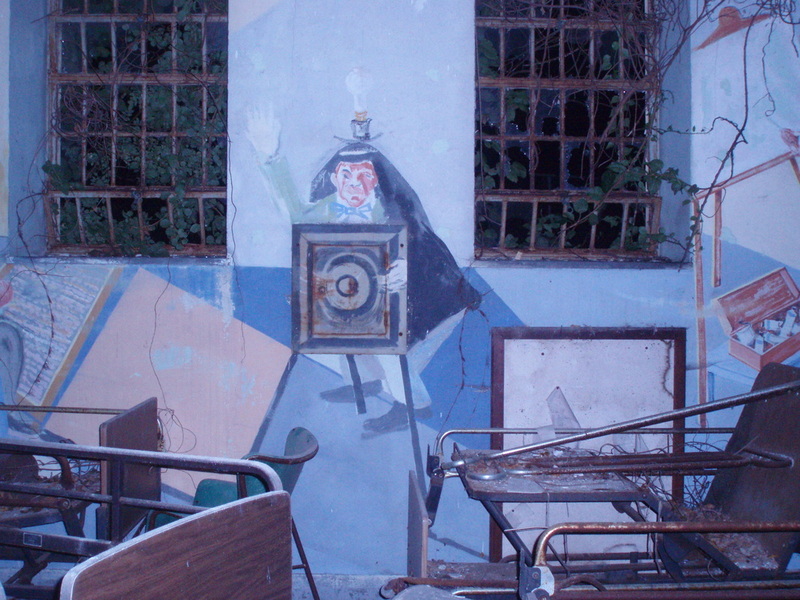 I was alone in the bordello. 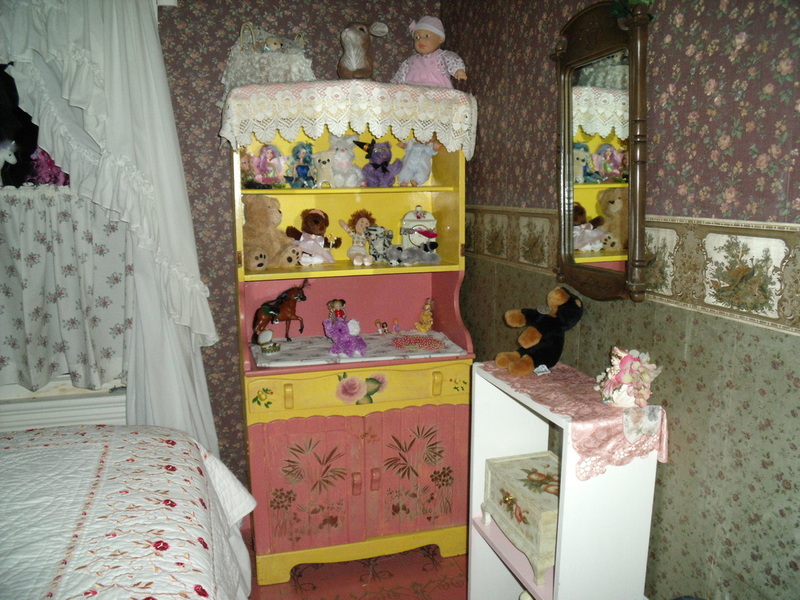 While Jo-Ann was playing with Rosie's dolls in an attempt to get her to speak, she was successful in this recording done in May of 2011 at the Shanley Hotel when Rosie responded to her question. 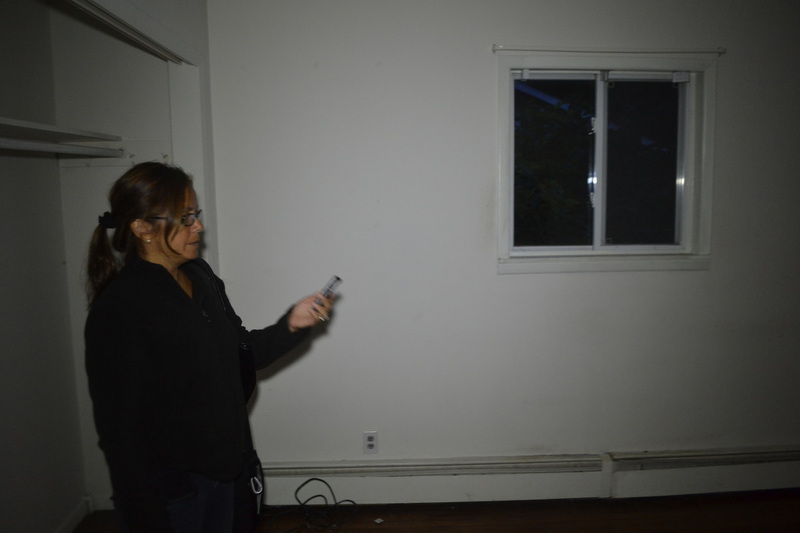 Former team member, Melissa, recorded someone telling her to "get out" in front of Rosie's room at the Shanley Hotel during our first investigation there. 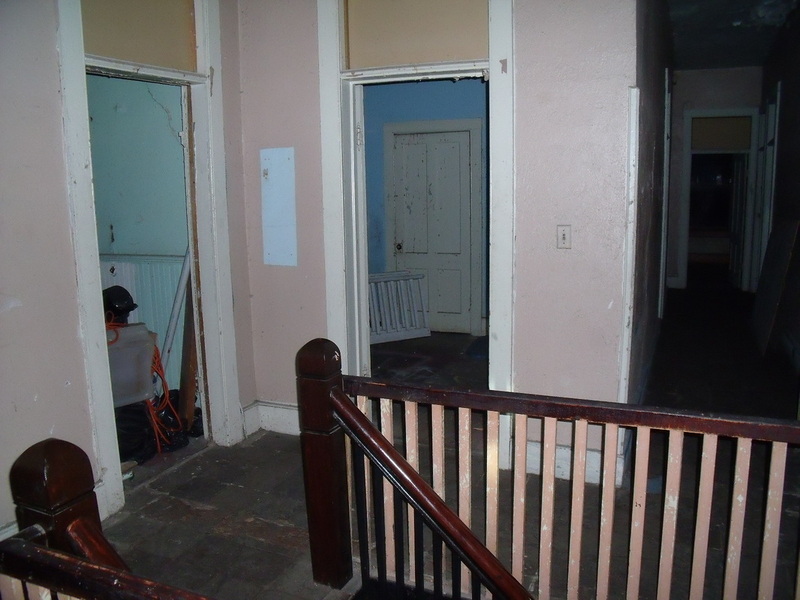 A musical note being played on the bordello's second floor was recorded by Jo-Ann during our November 2011 investigation. 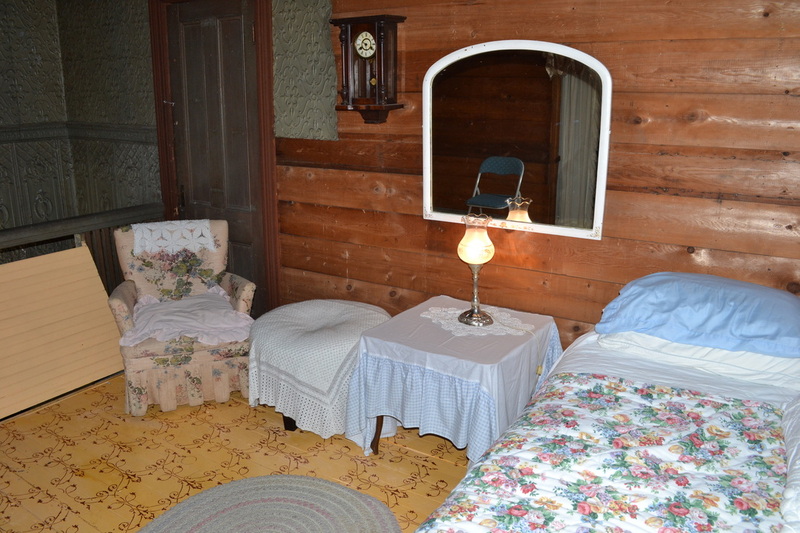 Jo-Ann captured what sounds like it could be Rosie crying in the Gentleman's Quarters of the bordello, which is where Rosie's father, Peter, worked as the hotel's barber during the early 1900s. 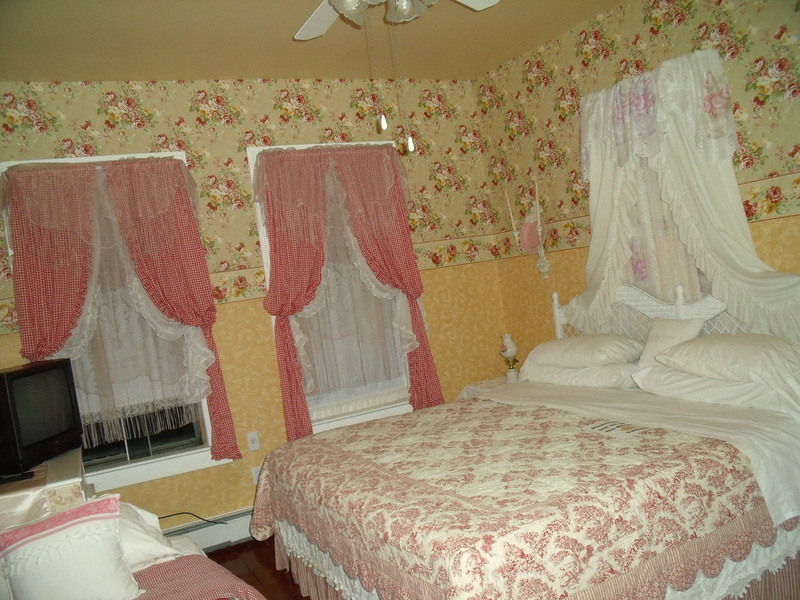 "Singing at the Shanley Hotel"
This recording of a female singing in Room 2, or the Rose Room, on the second floor was recorded by former team member, Melissa. 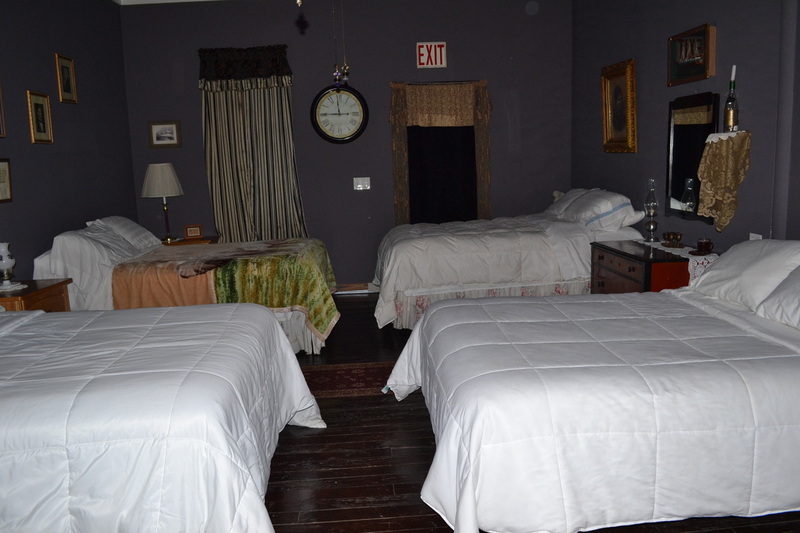 Another EVP of someone saying, "Get out," in a monotone voice, recorded by former team member, Melissa, in the hallway of the Shanley Hotel. 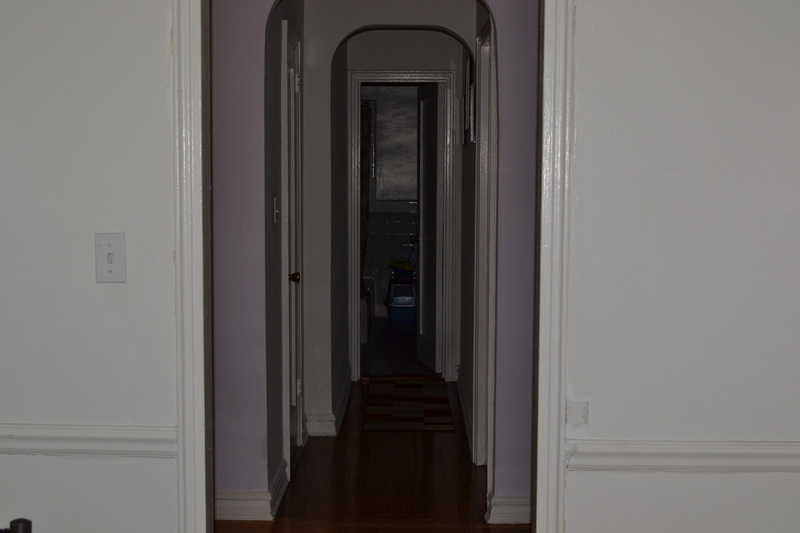 As I was leaving the third floor, Jo-Ann recorded an EVP of a girl saying, "Don't go." 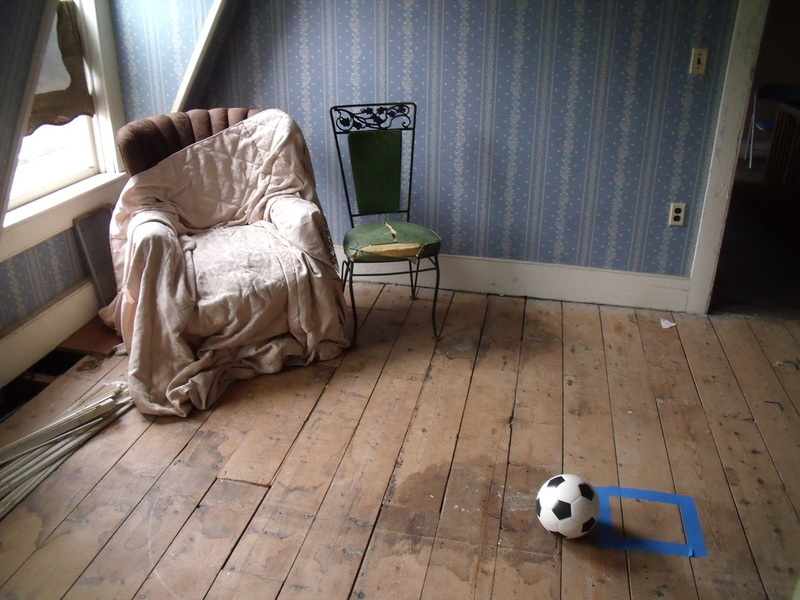 I had just finished addressing the spirit of Clair in the Blue Room of that floor. Perhaps it was her. 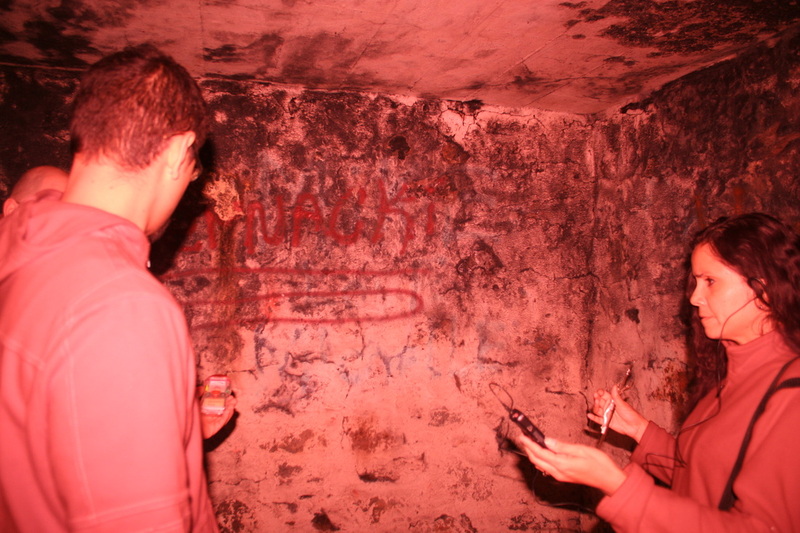 "A Growl in Joe's Room"
During this investigation the activity on the third floor was at an all-time high for our team. While sitting in Joe's chair, I got what sounds like a growl after I asked if Joe was there. 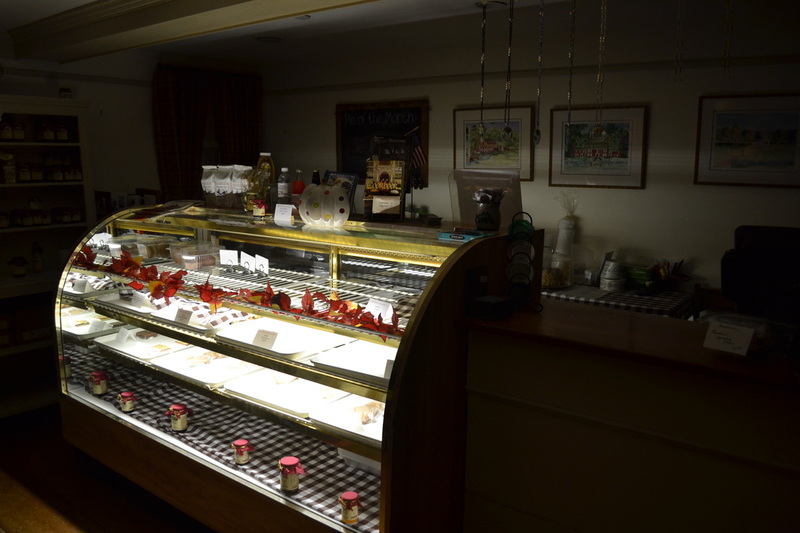 Was it him or perhaps the spirit of "The Butcher," who wishes to become the dominant spirit? 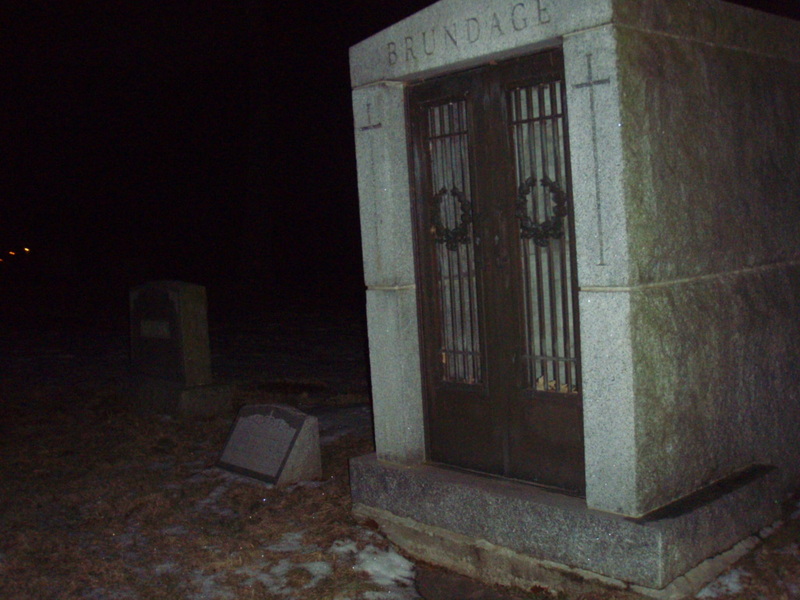 At about 2 seconds you can hear a very faint EVP of what sounds like Joe saying, "Ha" after the previous growl EVP was recorded. Maybe he was mocking "The Butcher" or me. Chris left the recorder in Joe's room and got what sounds like someone snapping their finger. Chris confirmed it definitely was not him. No one else was there at the time. Jo-Ann asks for a reason to come back to the park and a little girl's voice responds by saying, "Mommy." 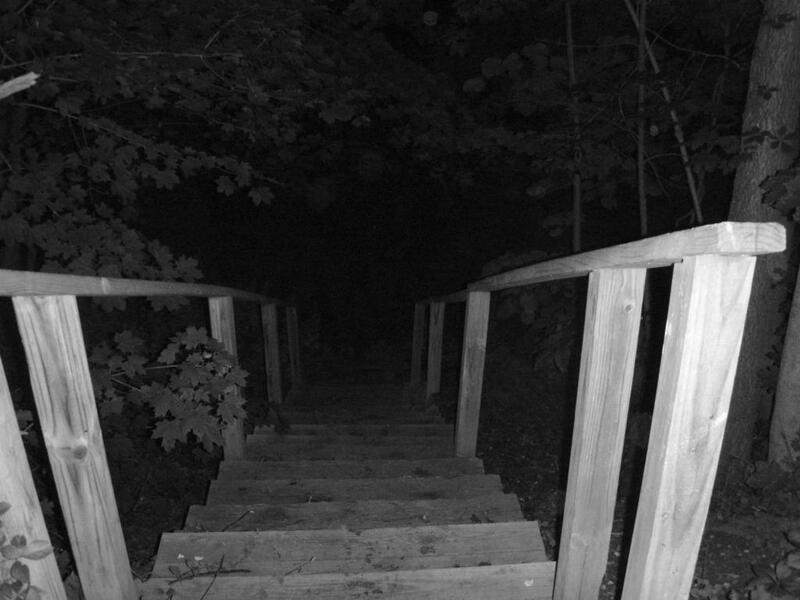 After 6 seconds into the clip someone can be heard whispering, "Mommy," in an eerie voice just after we finish talking about a deer that was nearby. 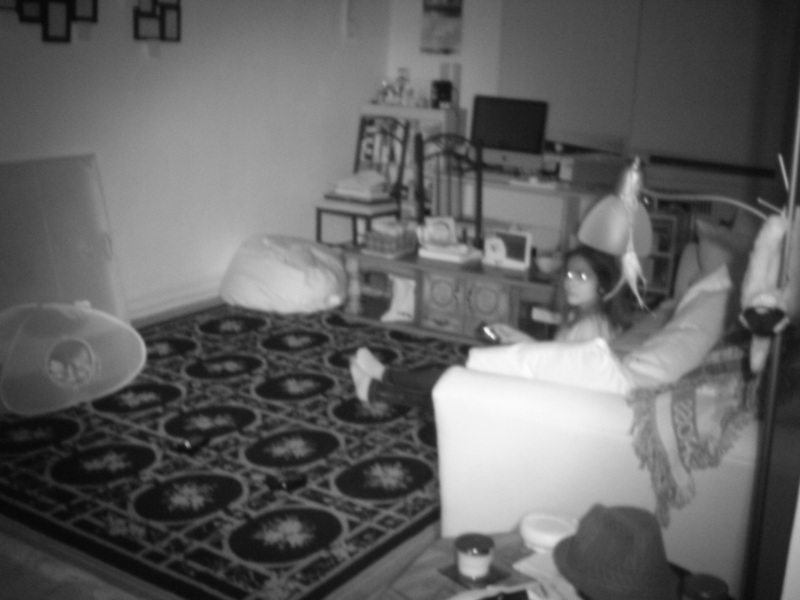 This recording was just a couple of minutes after the previous "Mommy" clip. "What Went on Here?... 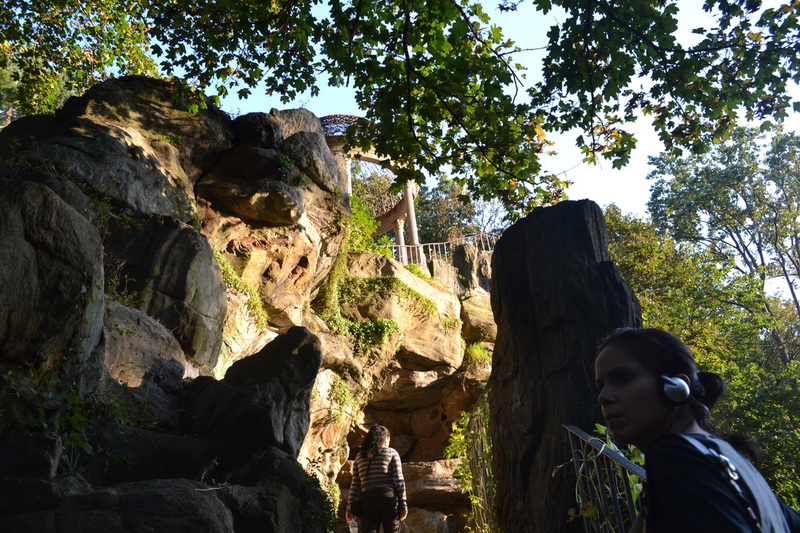 Spirits"
Jo-Ann asks what went on at Untermyer Park and gets a response from a female spirit, who sounds like she is saying, "Spirits." After former team member Amanda asks if anyone would like to say anything, you can hear a laugh at 7 seconds into the clip. 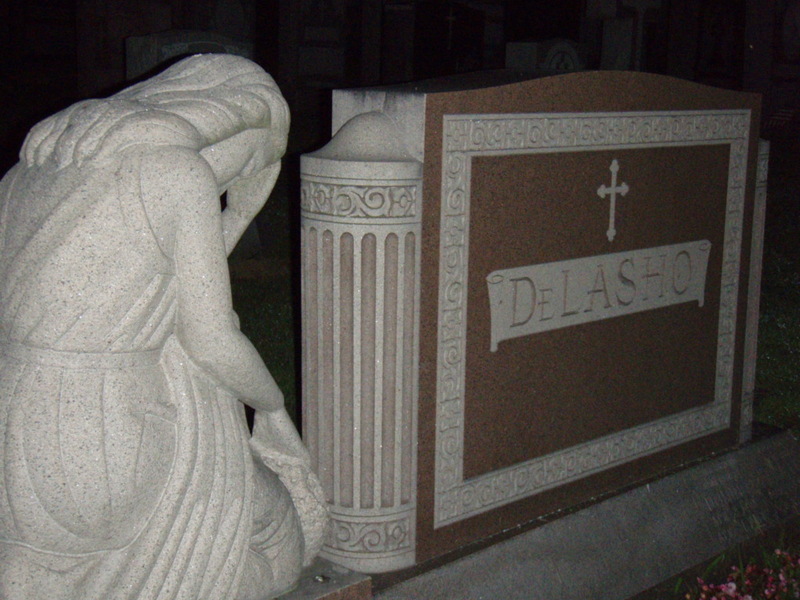 "Is There Someone Buried Beneath Us?" 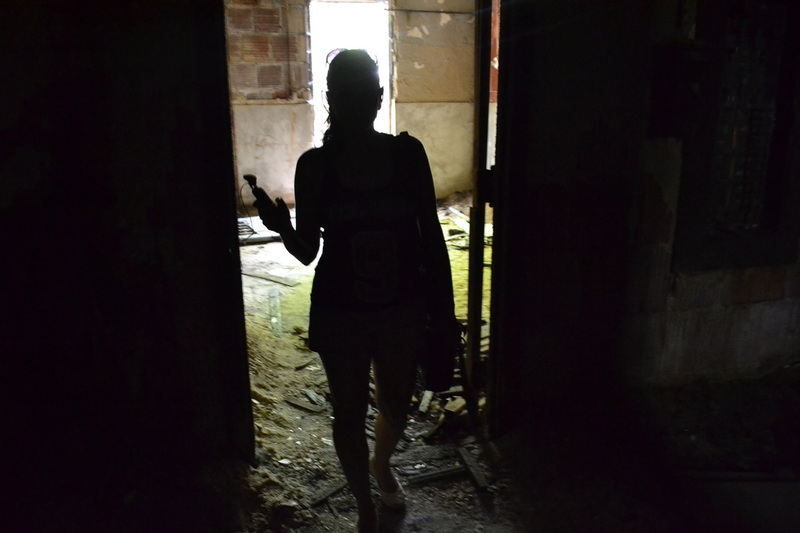 While in the Devil's Hole at the abandoned gate house I asked, "Is there someone in here buried beneath us?" There is a very low male response to my question. 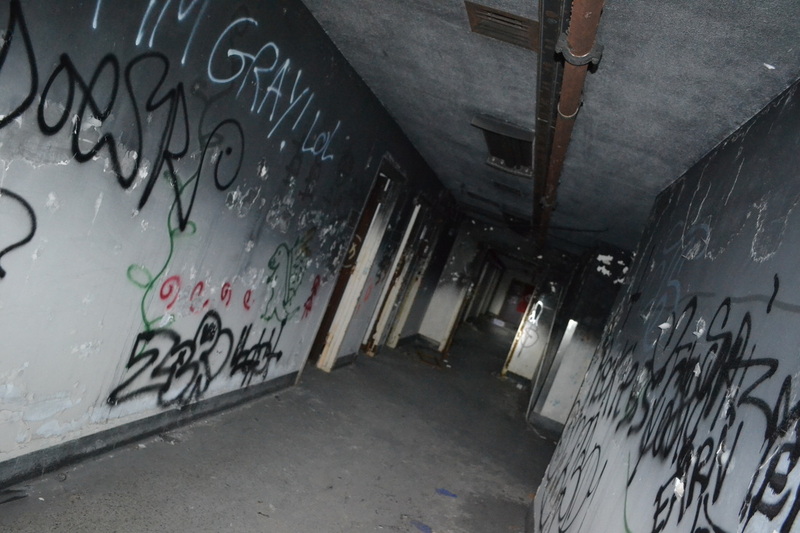 "Was There a Cult Here?... Yeah"
After Xavier asks "Was there a cult here?" you can barely hear a very low female response saying, "Yeah." 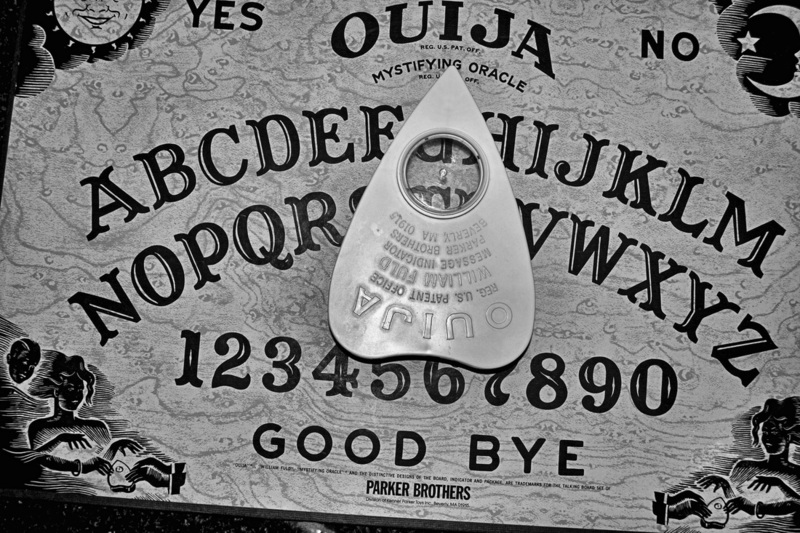 When Xavier's friend, Andy, asks for any possible spirits to make contact using the ghost meter pro by buzzing once for "yes" and twice for "no" there is a female voice that can be heard saying, "Help." Jo-Ann hears it immediately. 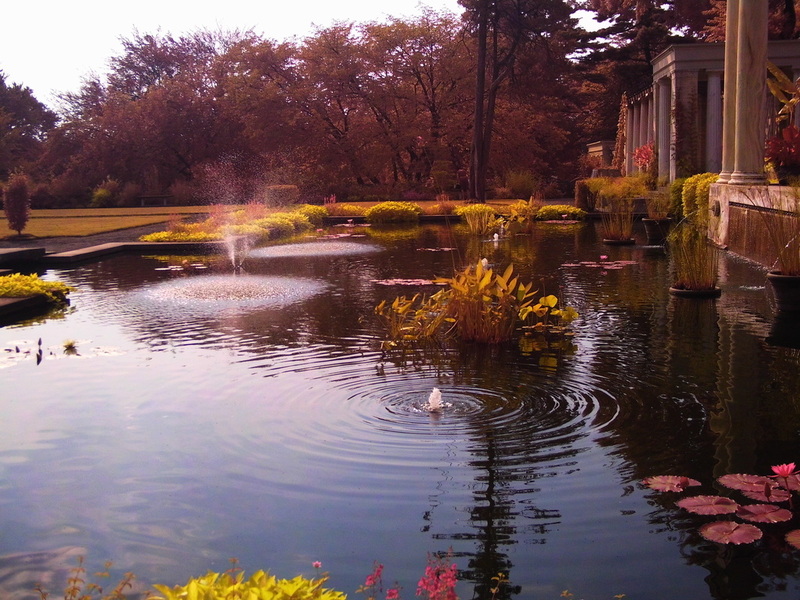 While I was alone in the walled garden I asked if someone could tell me the name of the person I know, who feeds the fish. Before I could finish speaking a female voice says very clearly, "Al," which is correct. 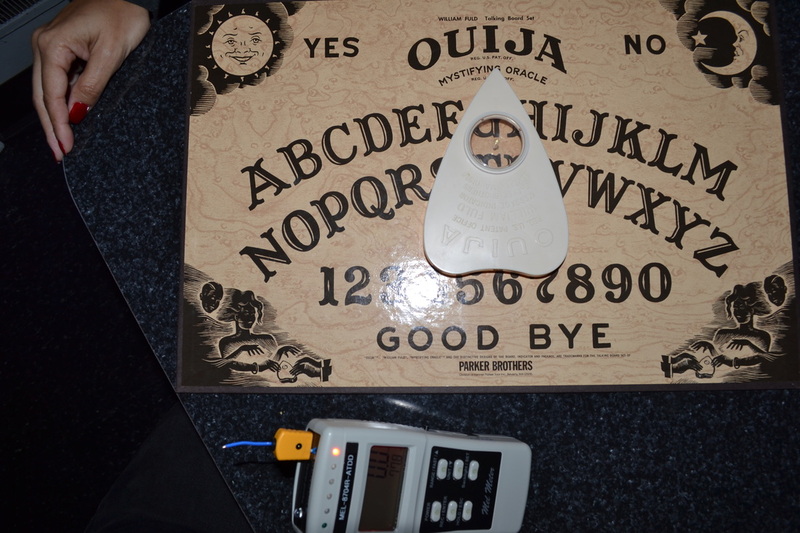 During a Ouija board session at my house the recorder captured what sounds like a female moaning after I say, "M" and before Jo-Ann starts to talk. 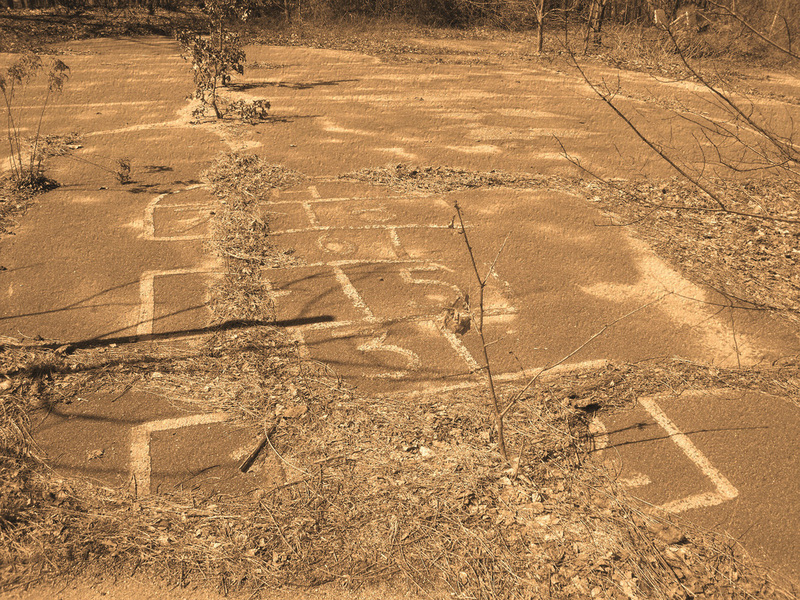 The Ouija board kept spelling out "M... K..." when asked for a name. At one point she did respond to Marie. 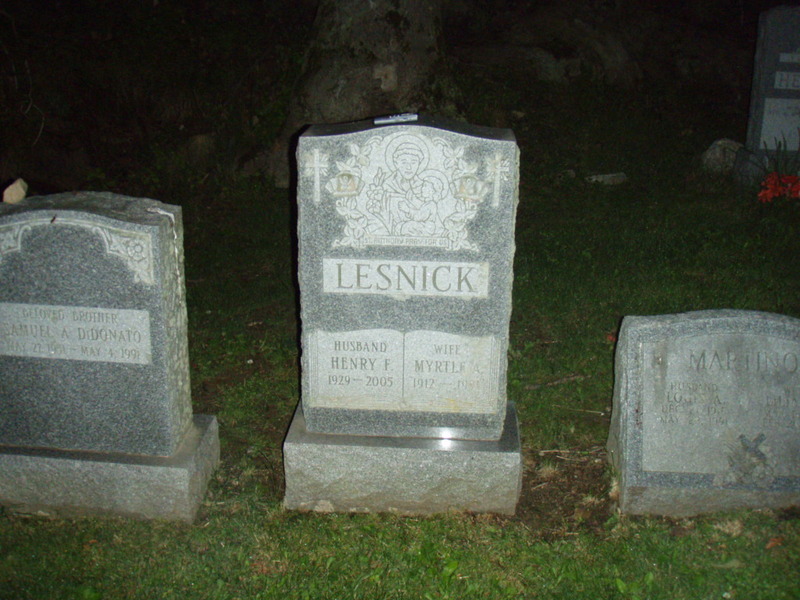 During a Ouija board session after I asked for a last name, there was a very low electronic sound. There were no devices in the room that could have caused that sound. "Hmm (Followed by a Beep)"
When this female spirit's voice was heard using a recorder with headsets the MEL-ATDD Meter began to beep almost immediately, but I cut this clip short before it goes too crazy with the beeping. You might have to turn up the volume to hear this very low female voice. 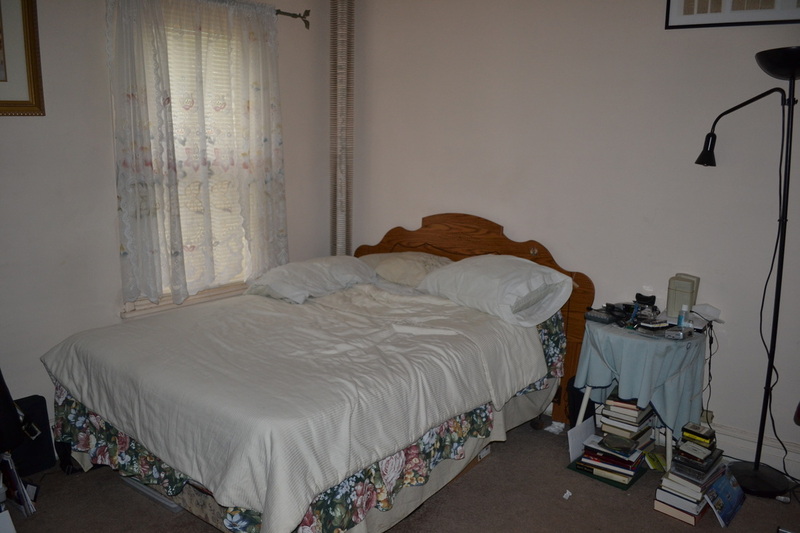 Just after a photograph was taken using the Nikon D-3100 digital camera you can hear a female's voice sighing from the bedroom. A very low female voice can be heard asking, "Who?" just before I say, "I'm still hearing some," referring to the static. 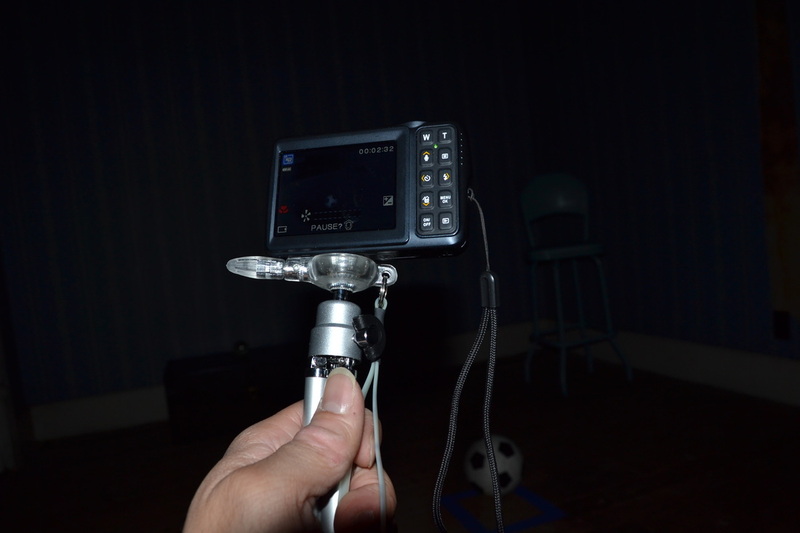 So far this has to be our most eeriest EVP because it is possible that it could be demonic in nature. 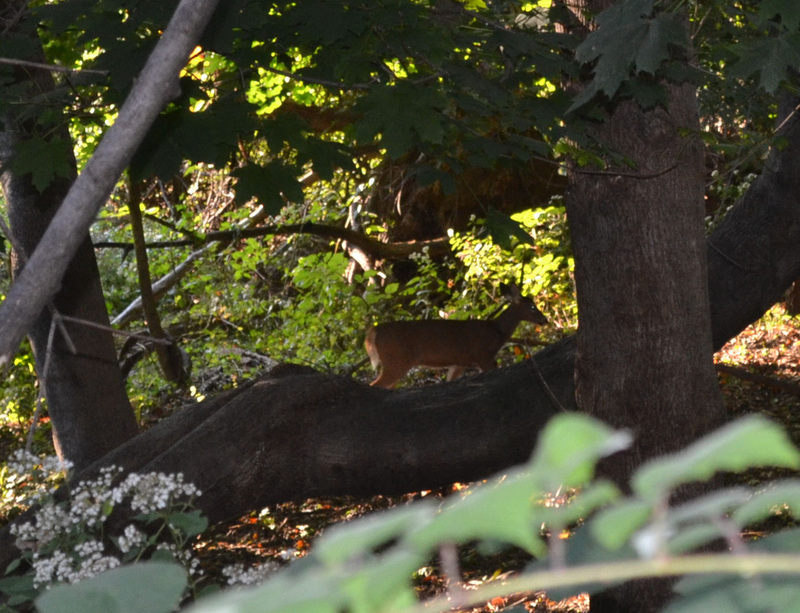 This growl was heard by Jo-Ann in the living room, who was wearing headsets. 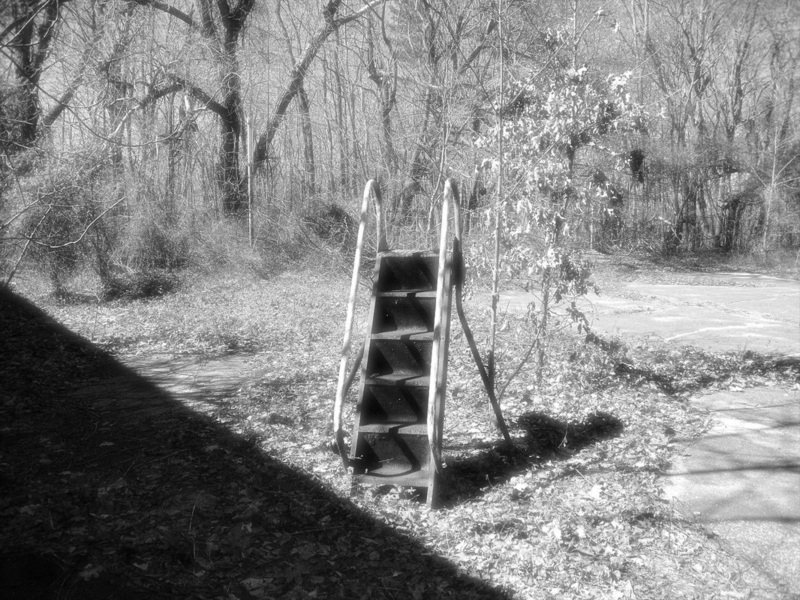 A footstep was also heard at the same time in the nearby boiler room by me. 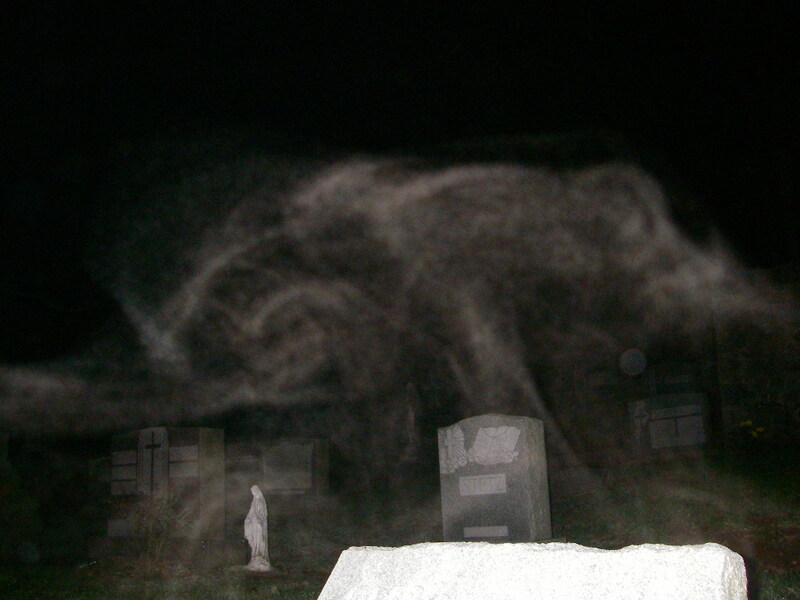 If we had been outdoors, then I might think this was just an owl, or some other type of bird or animal. 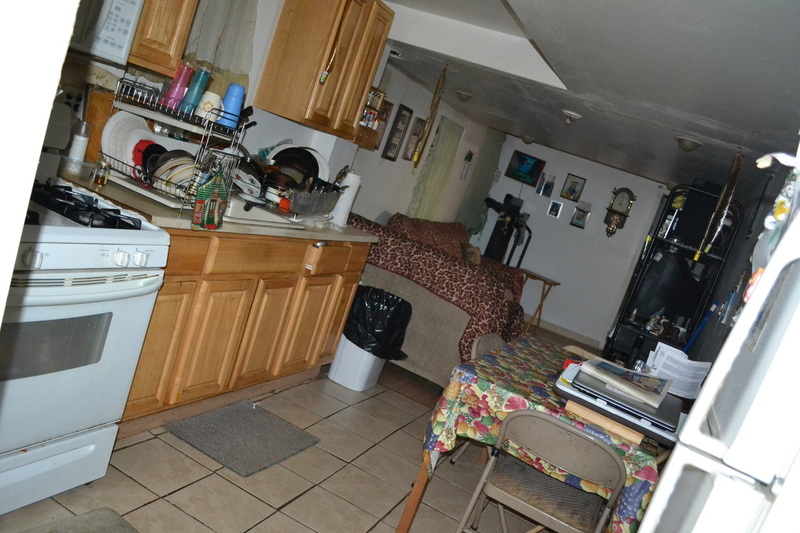 However, this recording was done in a basement apartment. I am not quite sure what it is. Right as Andrew begins to speak and later towards the end of this clip a creepy whispering voice can be heard. 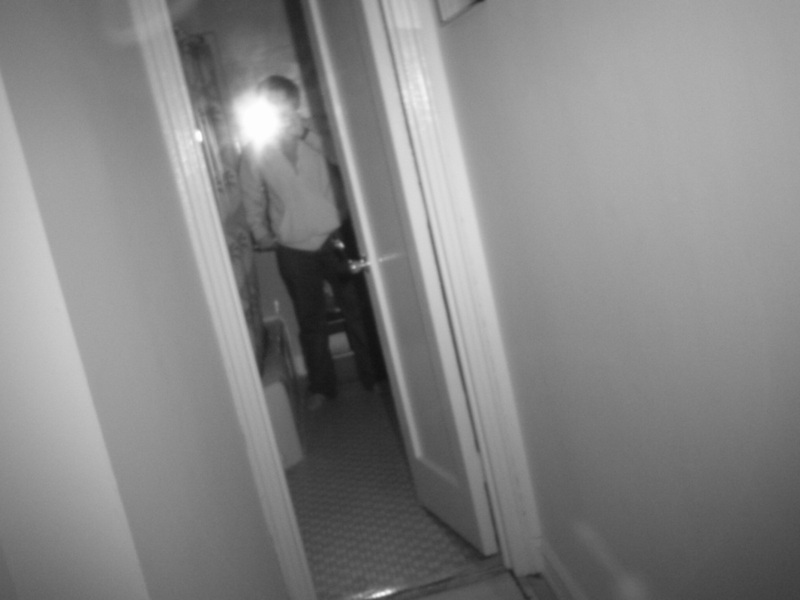 This demonic scream was captured by Andrew in the bathroom during a residential investigation at an Astoria apartment. 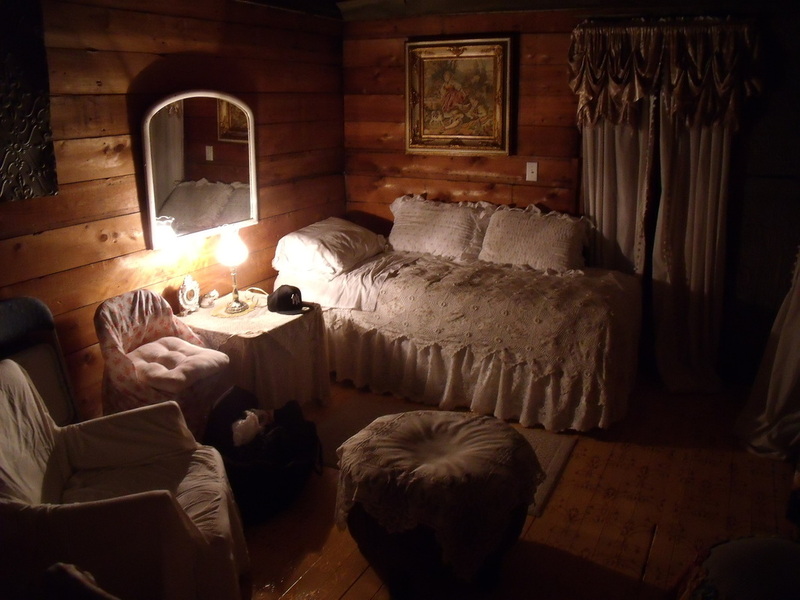 Jo-Ann asks for the spirit to muster up energy to speak and a female moan is later captured. 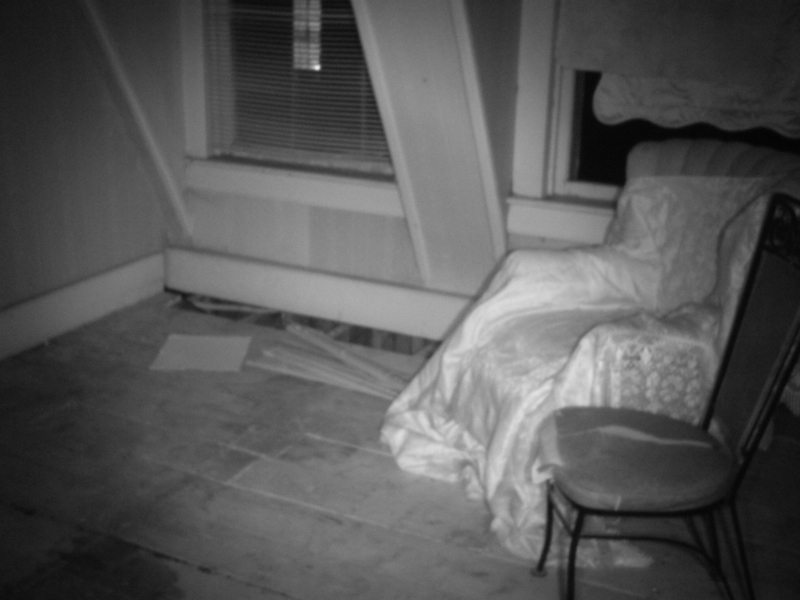 Jo-Ann began recording in one of the bedrooms and tried to contact a spirit we believe might be named Amelia. Right after calling out to Amelia, there is a female whimper.